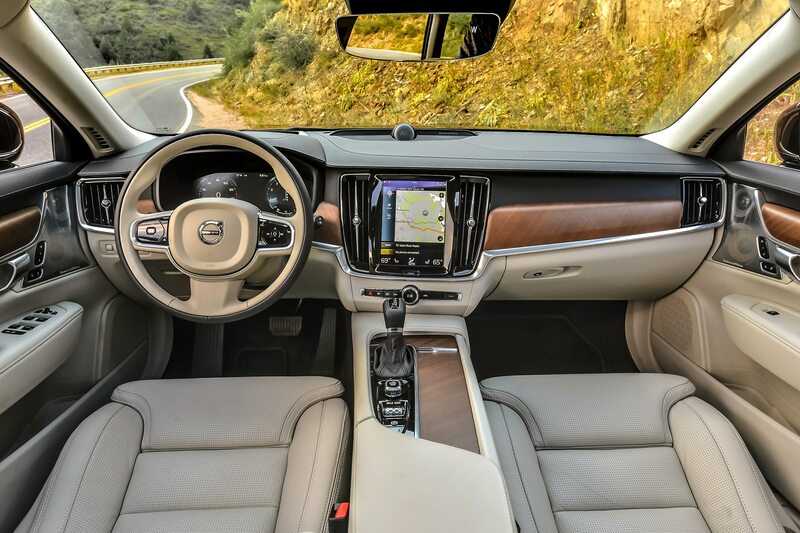 PALMDALE, California — It’s no secret that Southern California is traffic challenged to put it mildly, but Thursday afternoons are particularly brutal. 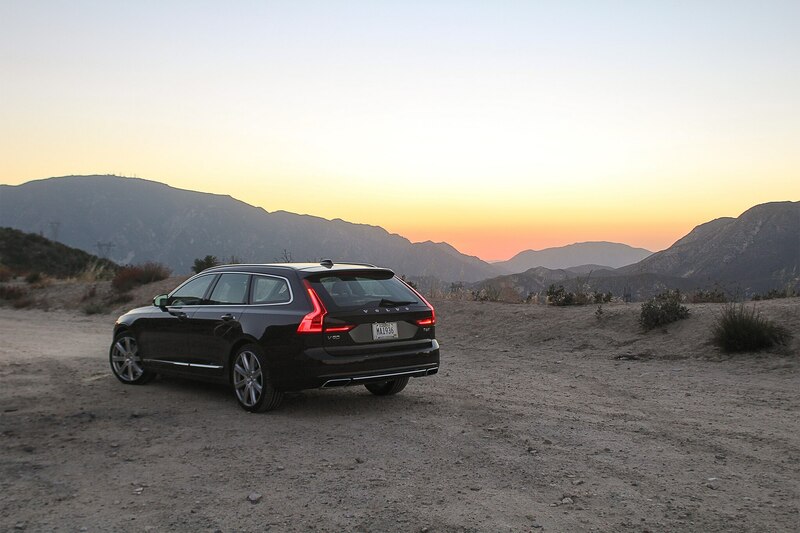 As such, I wasn’t planning on taking the scenic route across the San Gabriel Mountains on the way down from Willow Springs Raceway after the completion of our day of driver training out at the track, as going home would require slogging across most of Los Angeles County. 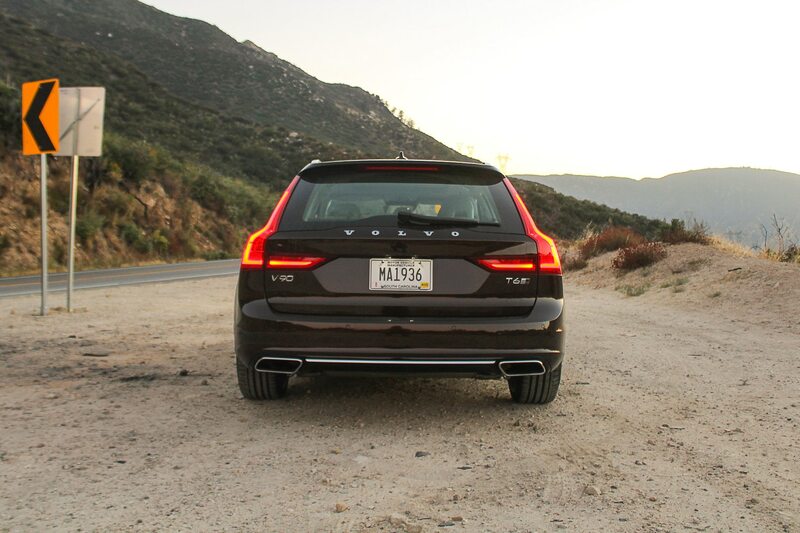 However thanks to an extensive backup at a stop sign, I made the fateful, impatient decision to hang a right instead of the planned left, sending me and the brown 2018 Volvo V90 station wagon the long way across the desert and eventually onto the scenic Angeles Forest Highway. 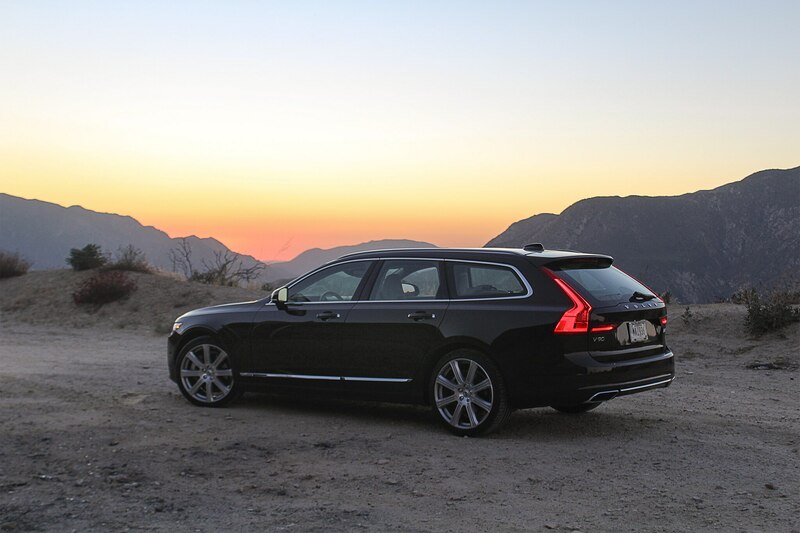 I’d come to lament the choice later as I was crawling along on the I-210, but the 34 miles of twisty mountain tarmac I “had” to traverse beforehand turned out to be worth the ensuing pain. 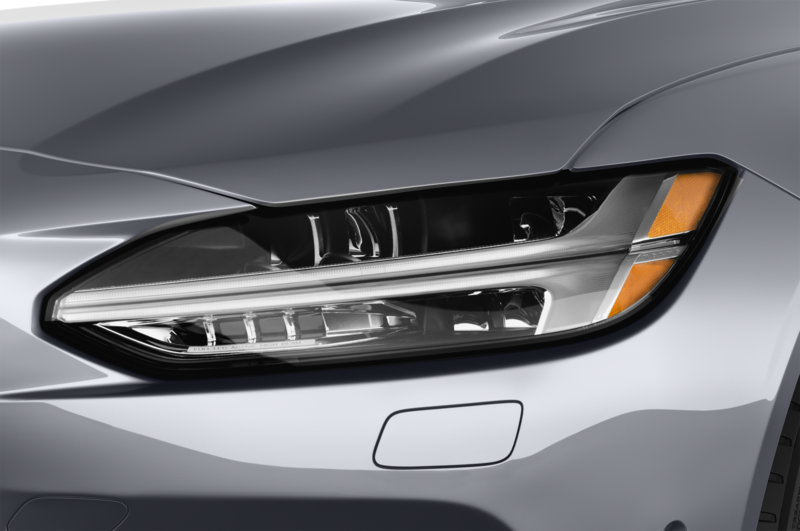 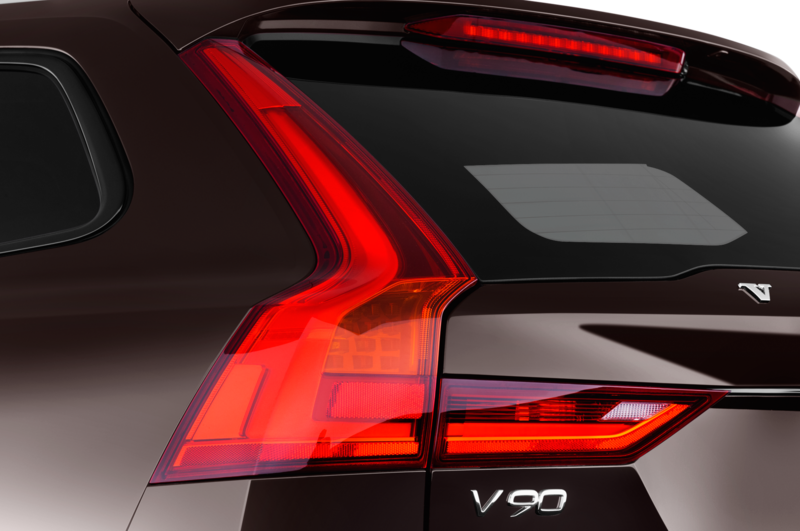 To be honest, I wasn’t expecting much from the V90, and I’m not sure why. 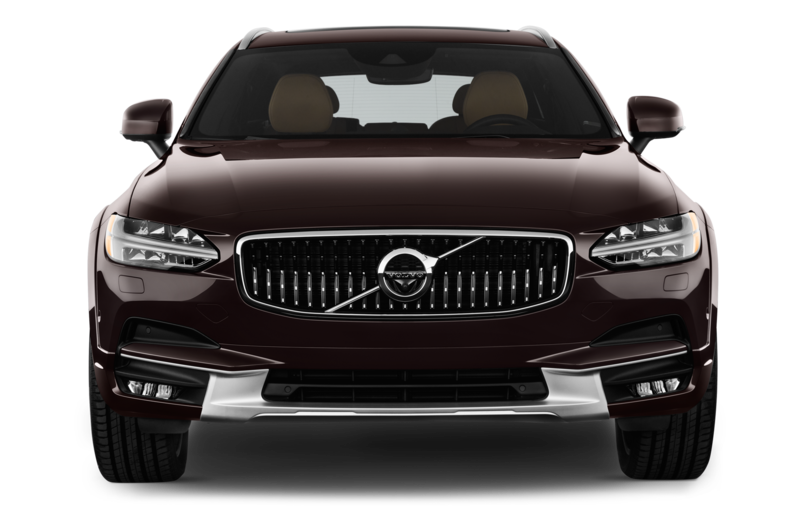 I certainly enjoyed its 2017 All-Star winning S90 sedan sibling last year during our competition. 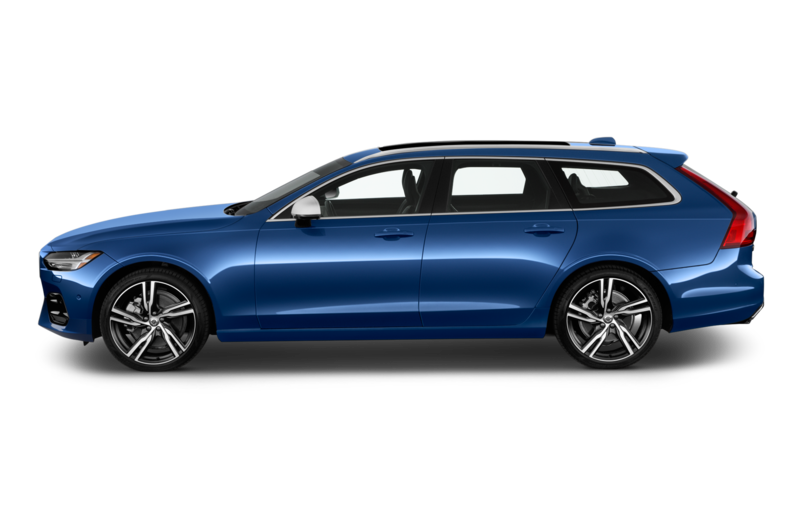 My memory clearly failed me, as the wagon proved more composed and planted than I expected, its steering more responsive, and the turbo- and supercharged four-cylinder, which sends 316 hp and 295 lb-ft of torque to all four wheels via an eight-speed automatic transmission, smoother and more refined. 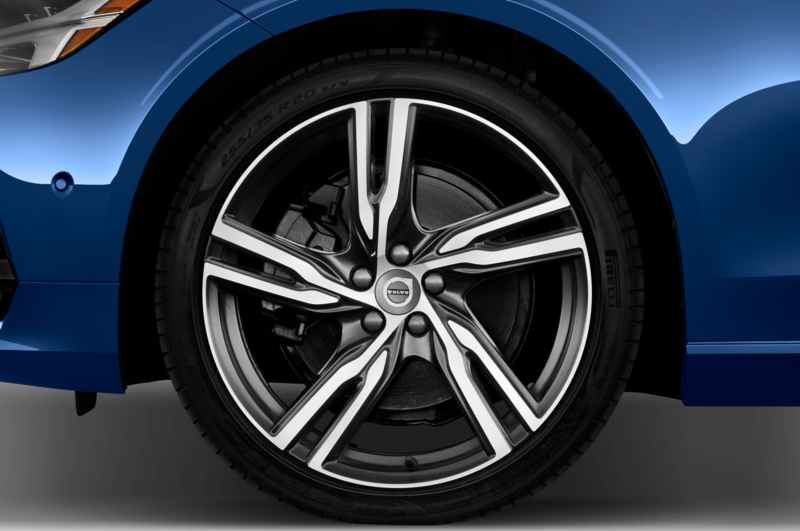 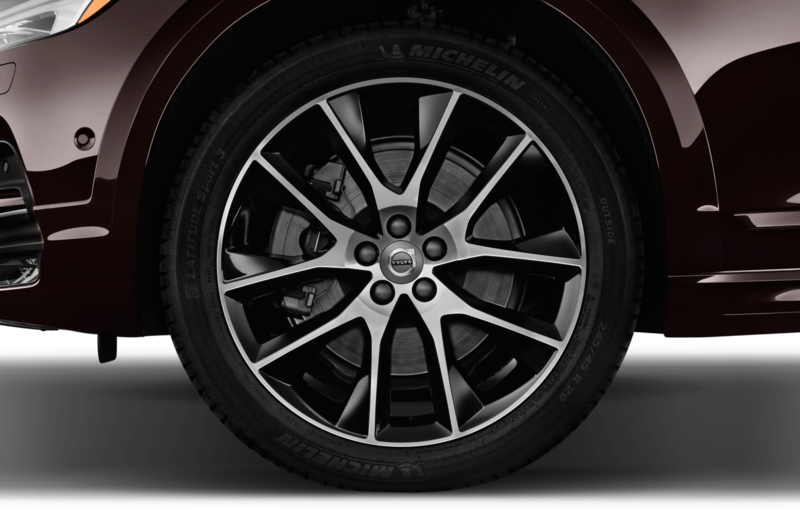 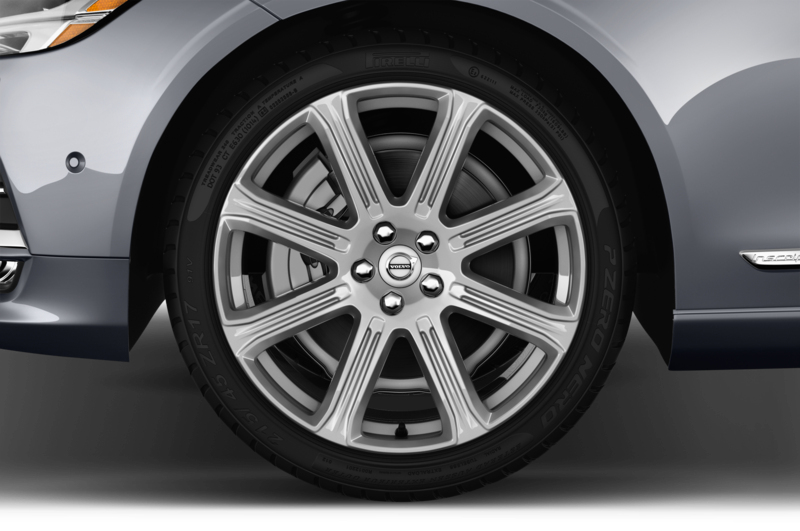 Or maybe it was the available adjustable premium air suspension working magic in combination with the optional 20-inch wheels shod with summer tires. 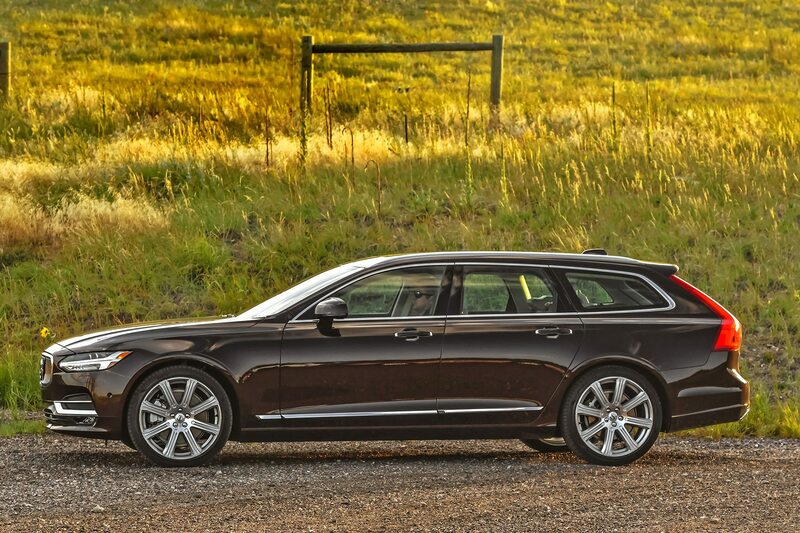 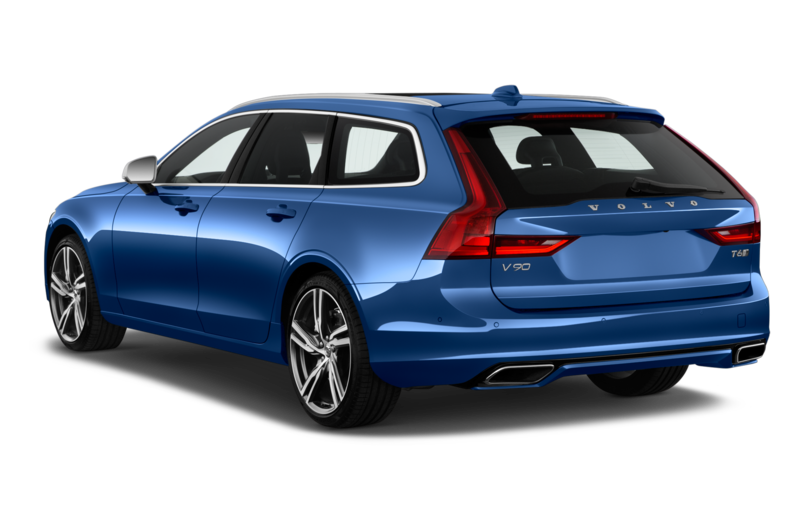 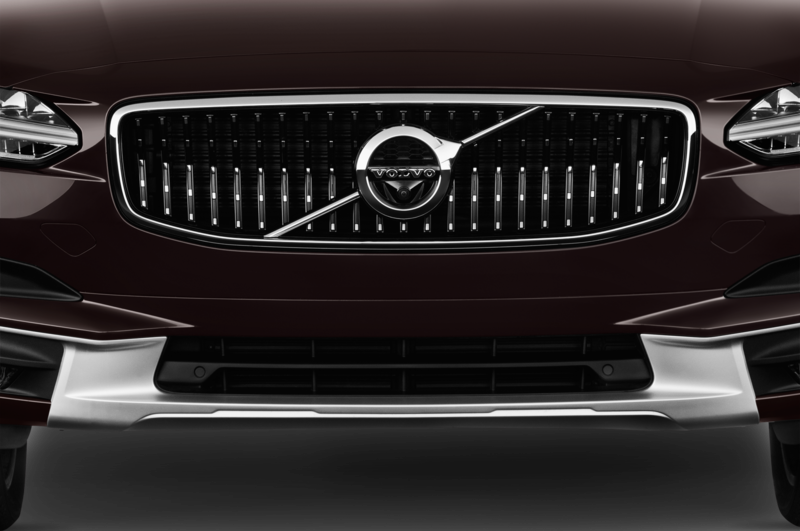 Despite the extra glass in the back, the V90 wagon is only about 100 pounds heavier than the short-wheelbase S90 Volvo offered for 2017. 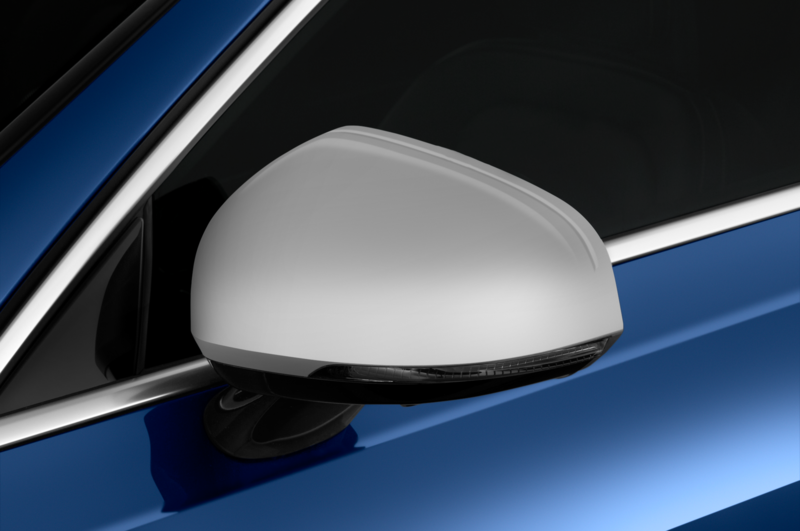 It’s also an inch shorter in length and 1.3-inch taller overall. 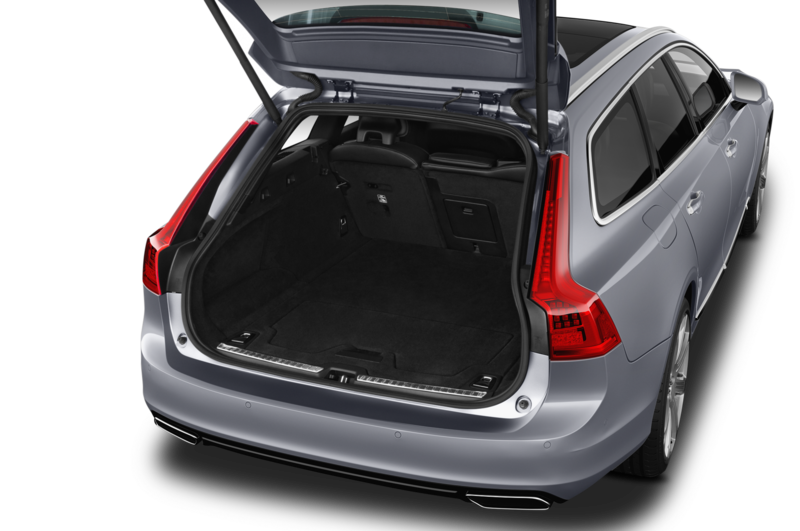 Where the difference is more noticeable, obviously, is cargo space, though there is the side benefit of a more airy feel in the cabin as well. 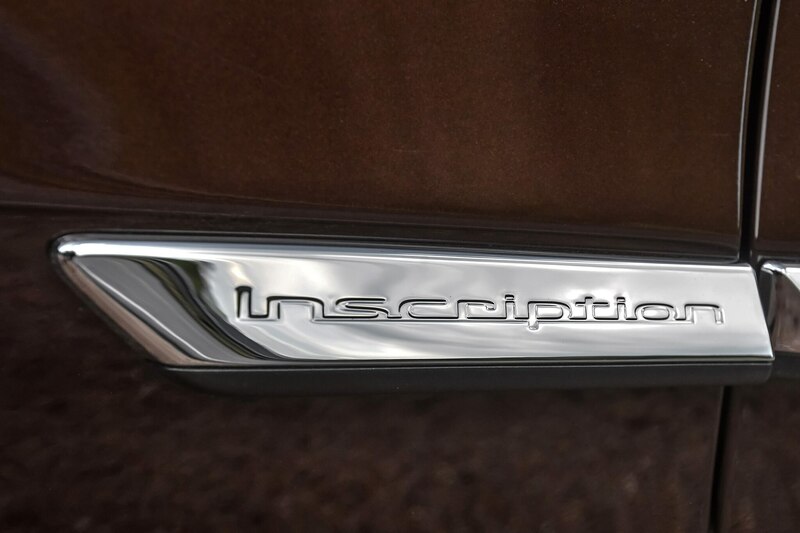 How noticeable? 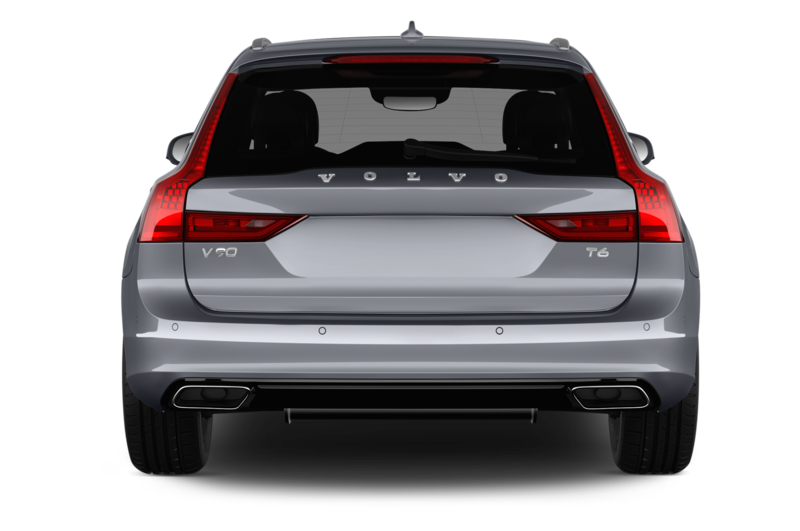 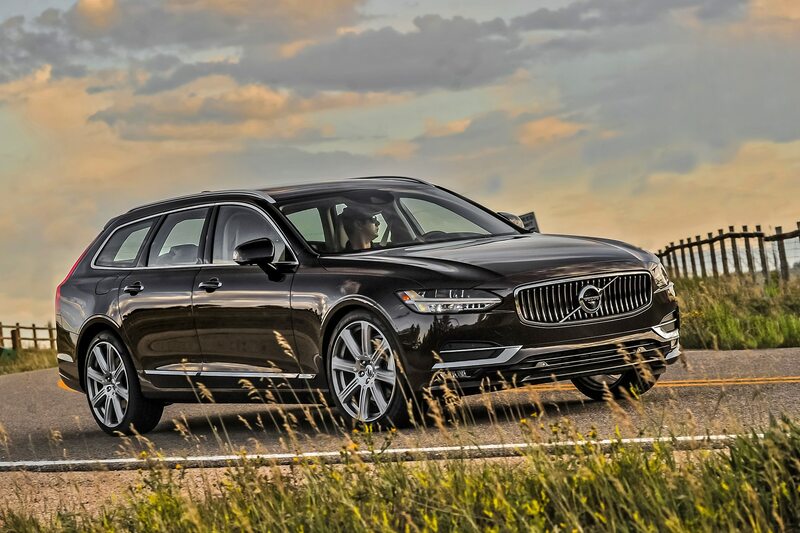 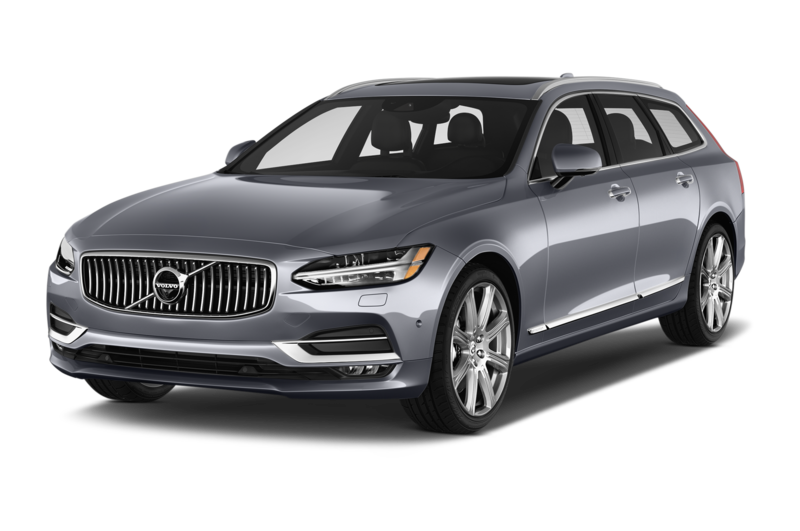 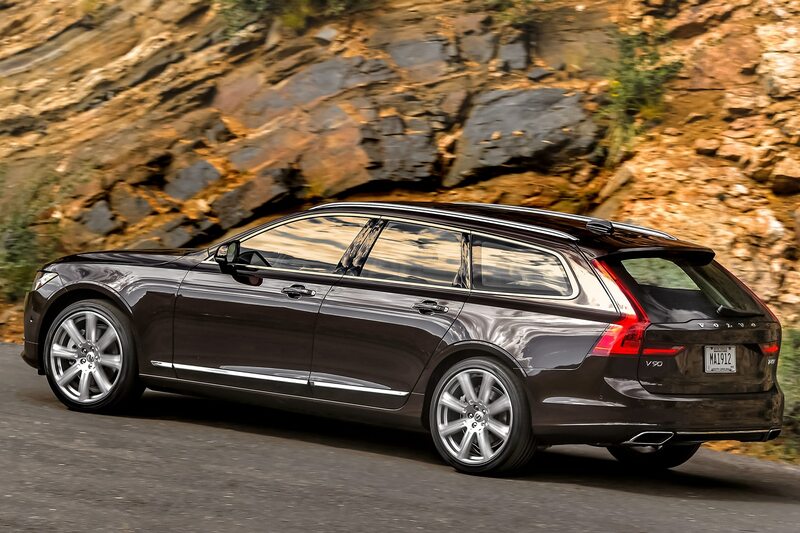 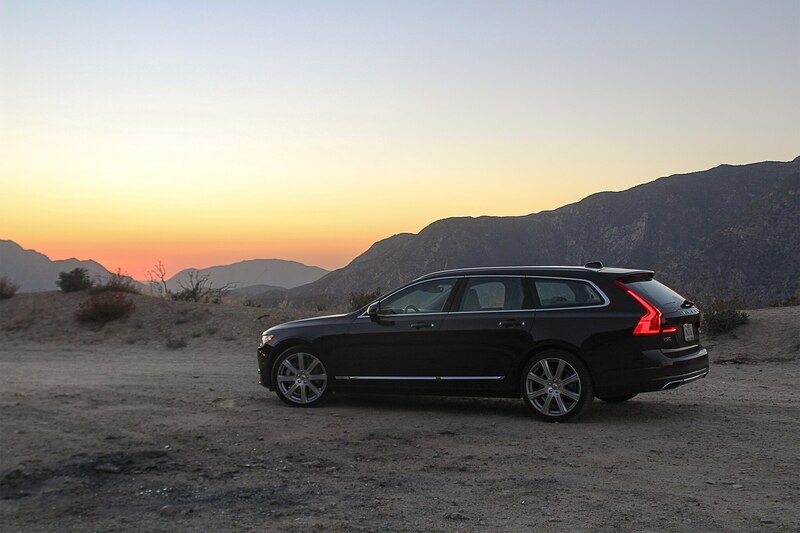 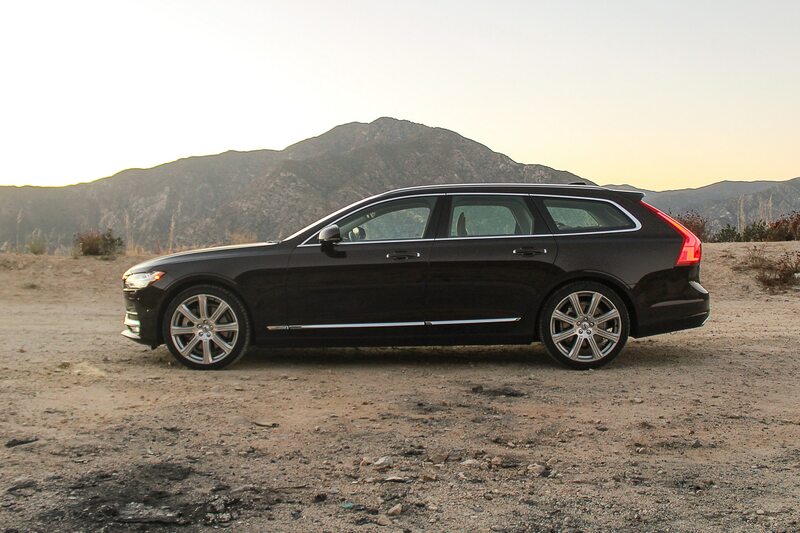 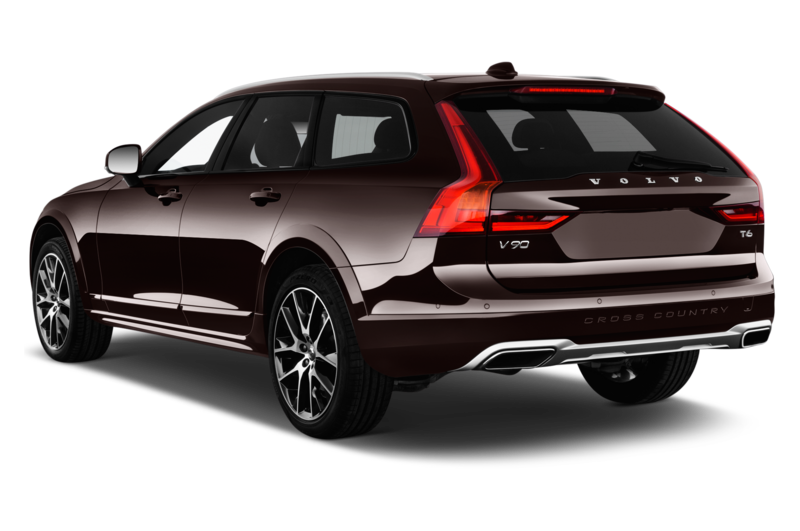 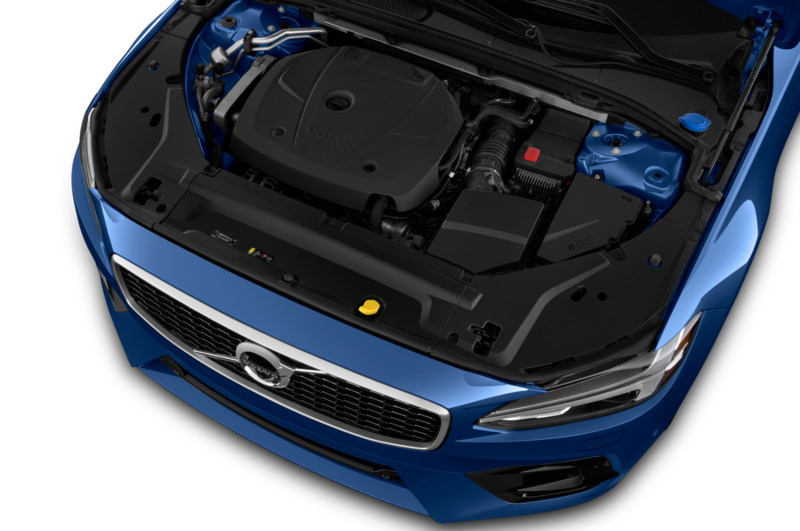 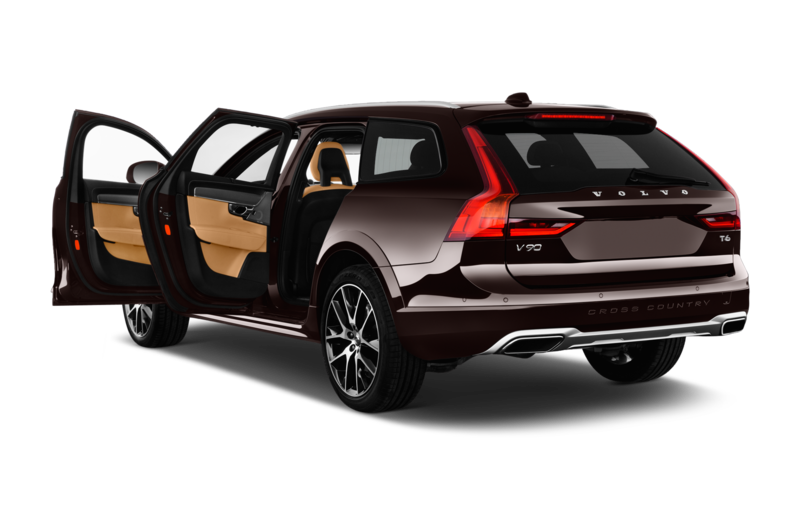 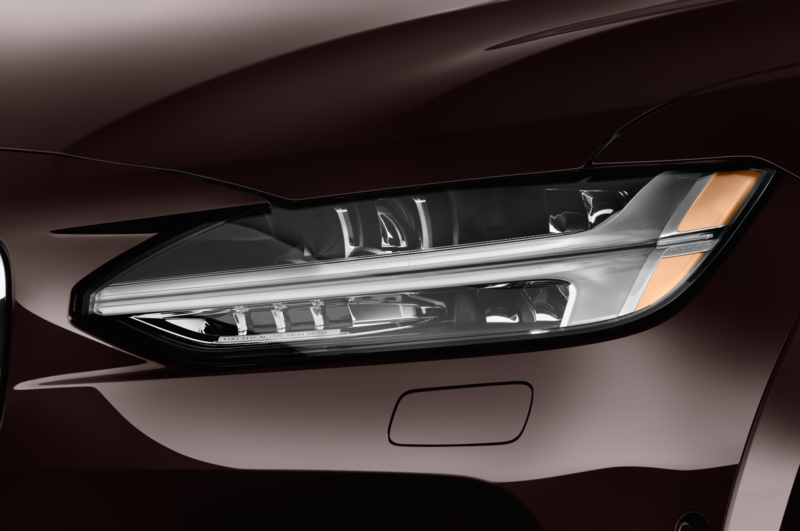 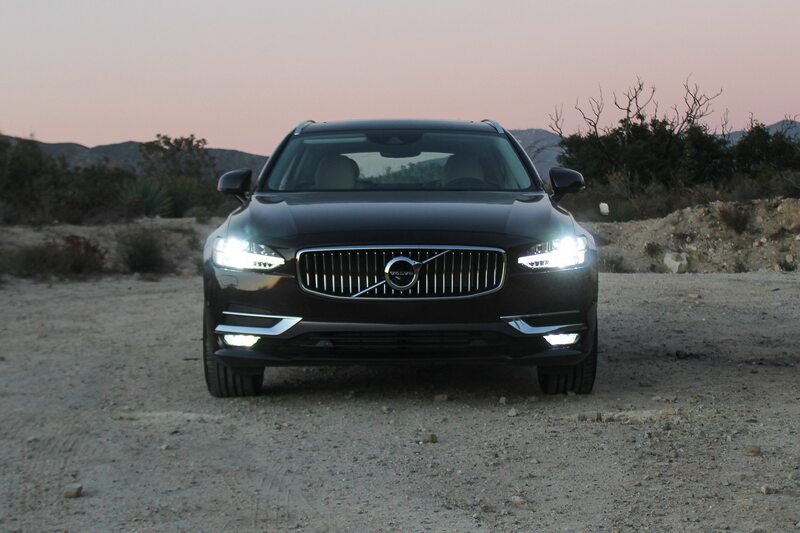 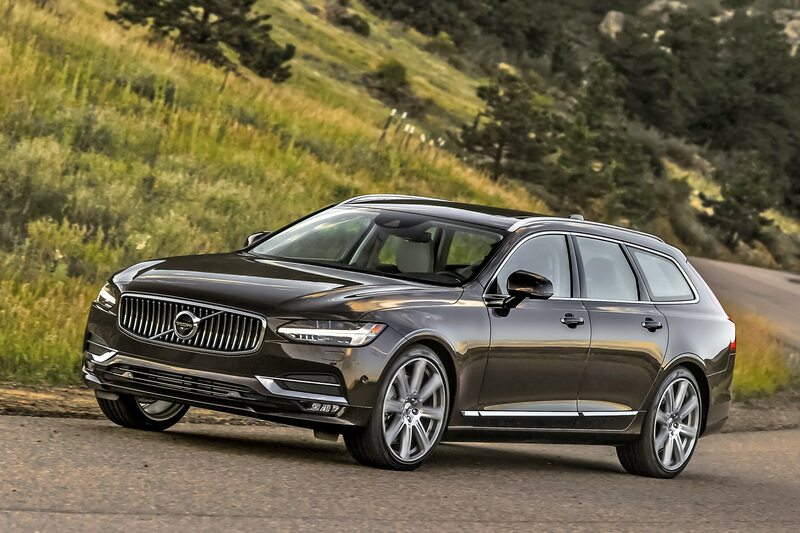 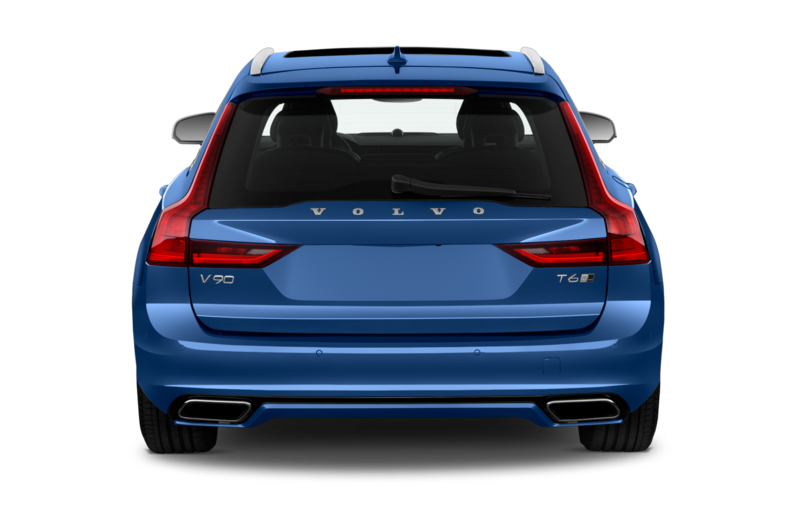 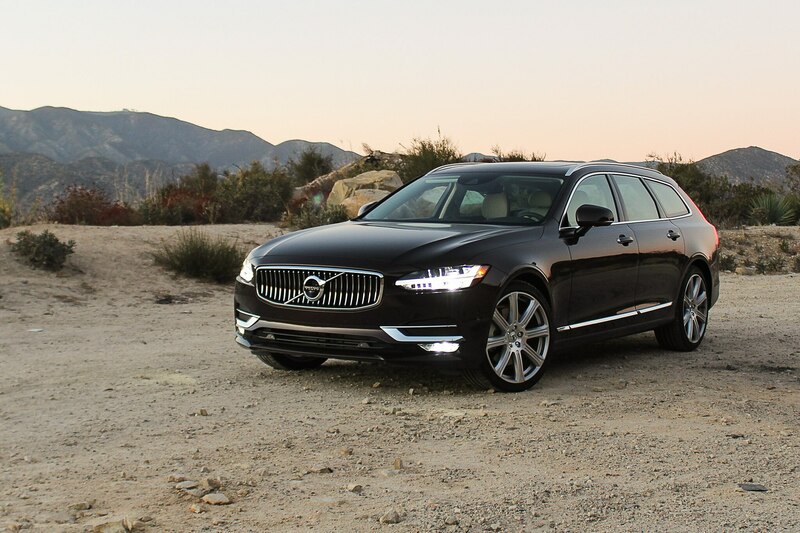 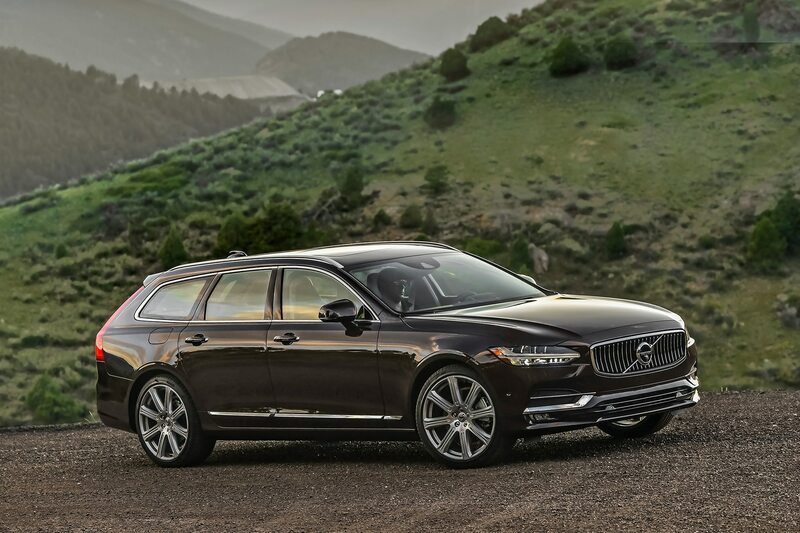 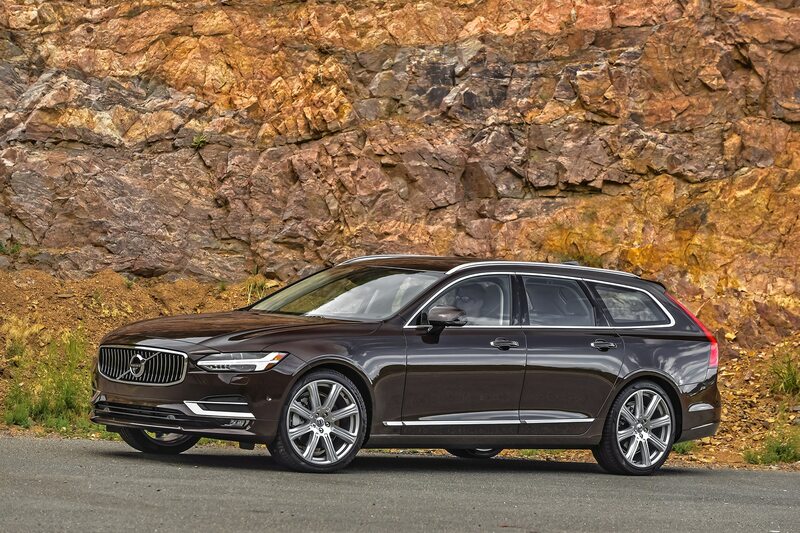 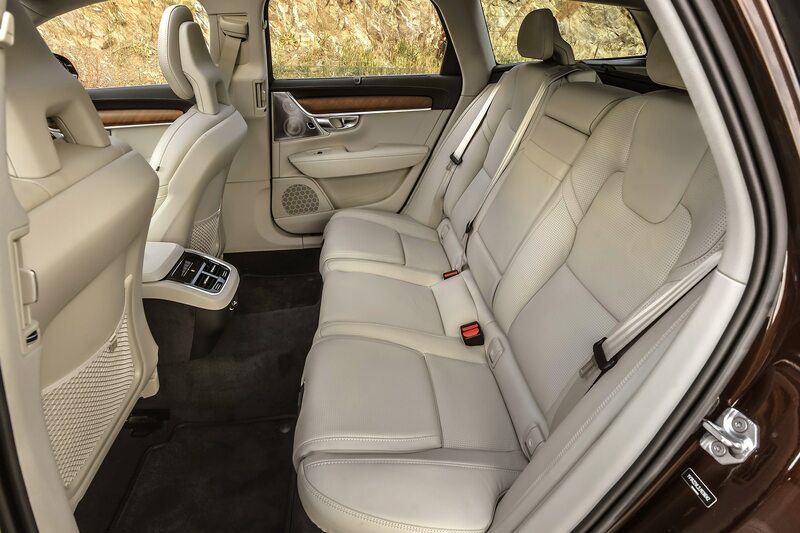 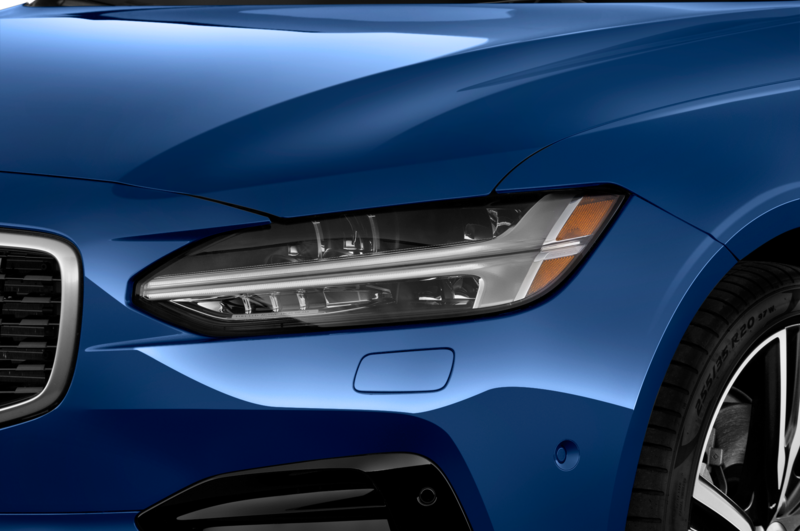 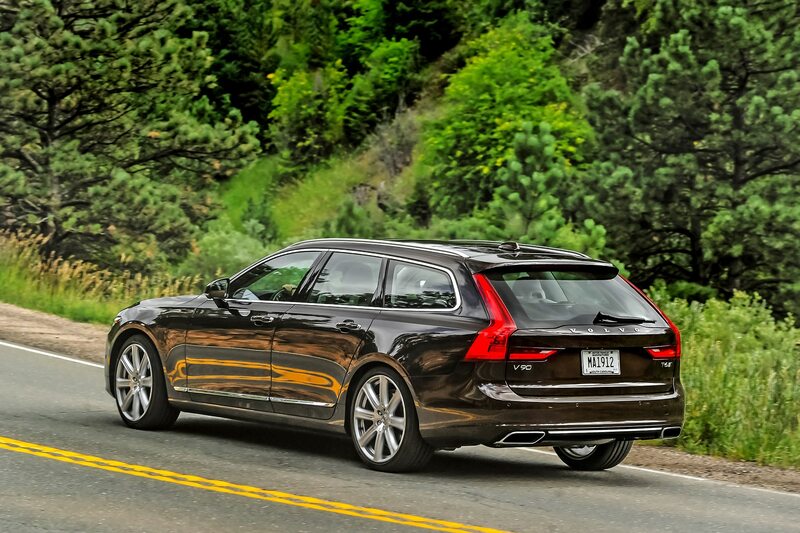 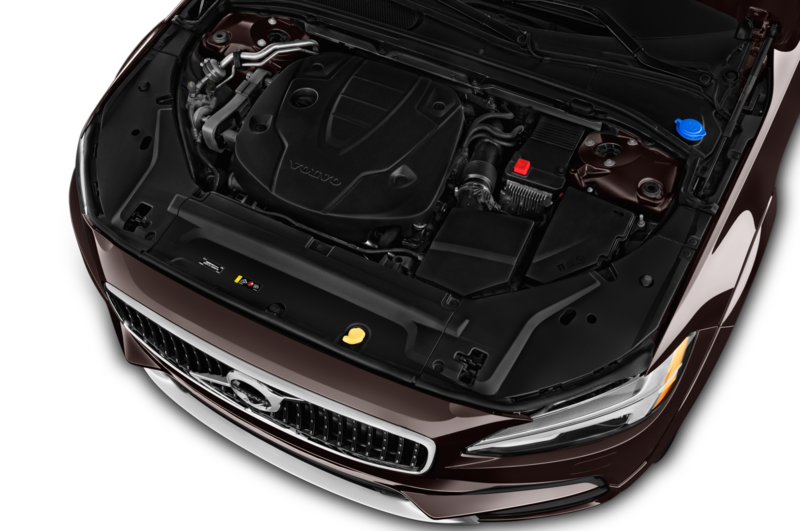 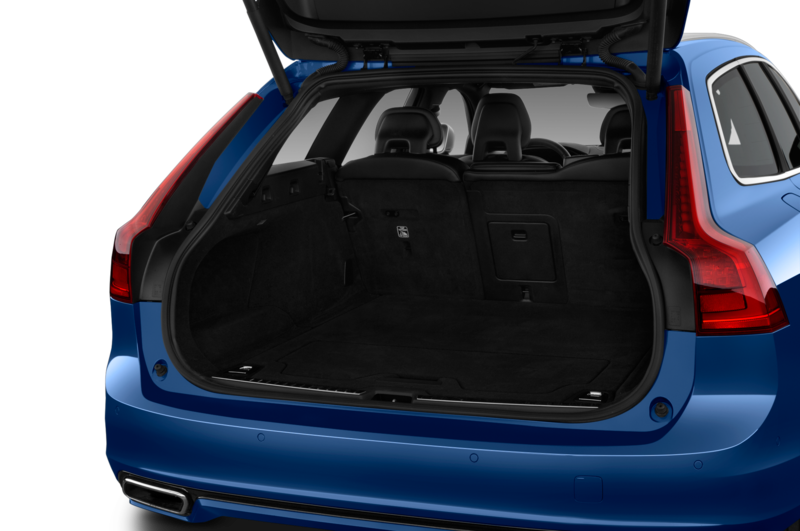 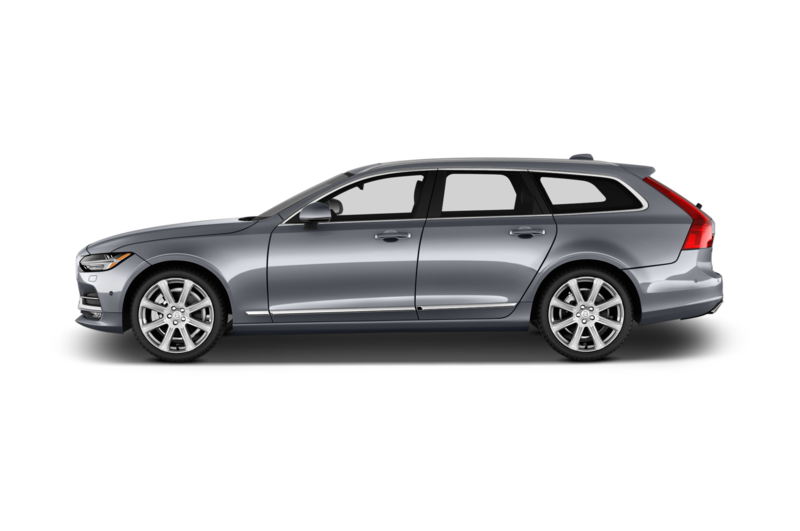 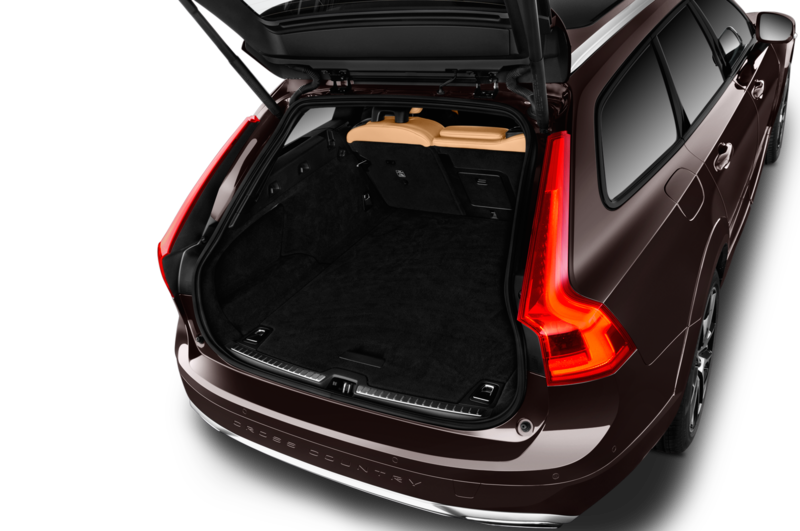 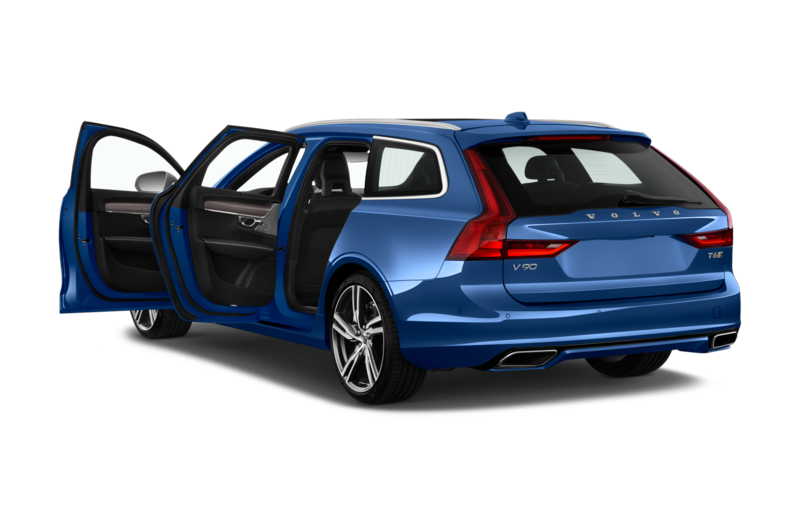 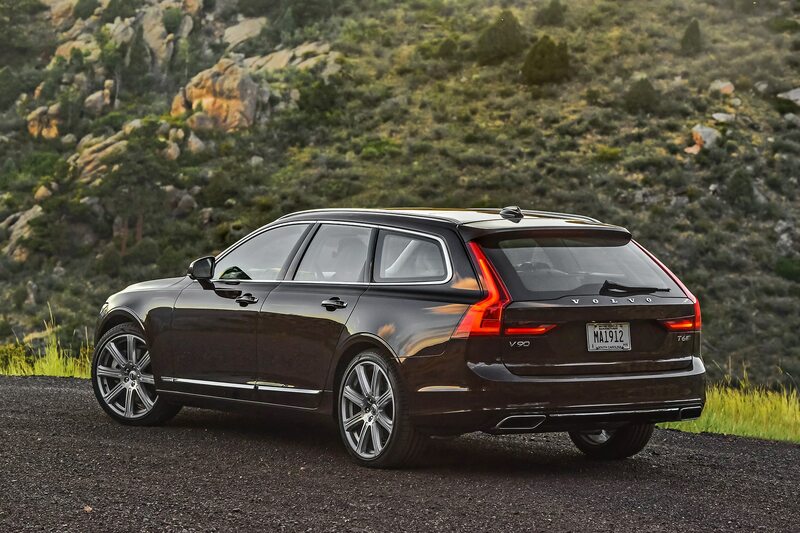 Try 15.4 cu-ft of trunk space for the S90 versus 25.5 cu-ft of volume for the V90, which increases to 53.9 cubes with the rear seats folded, to say nothing of the wagon’s ability to effortlessly consume oversize objects. 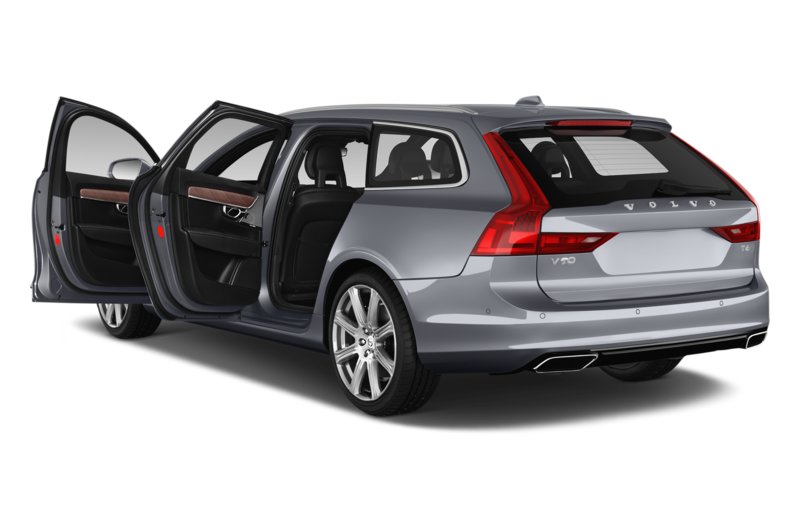 Or dogs, since that seems to be a frequent use case. 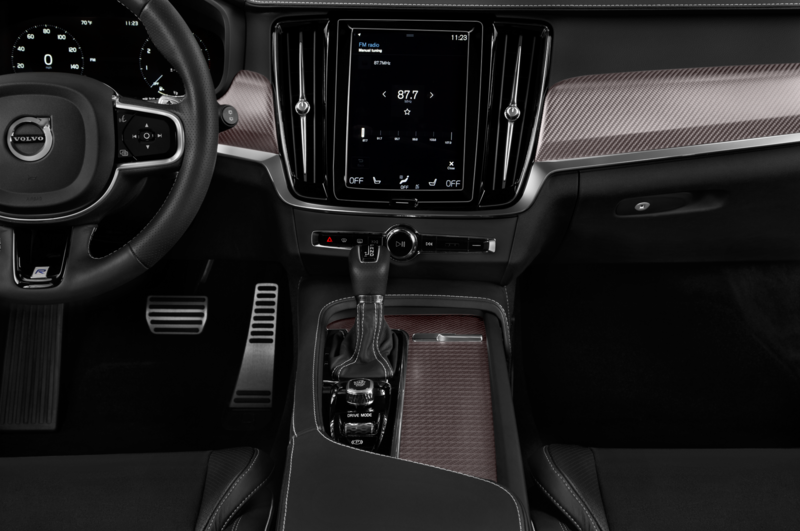 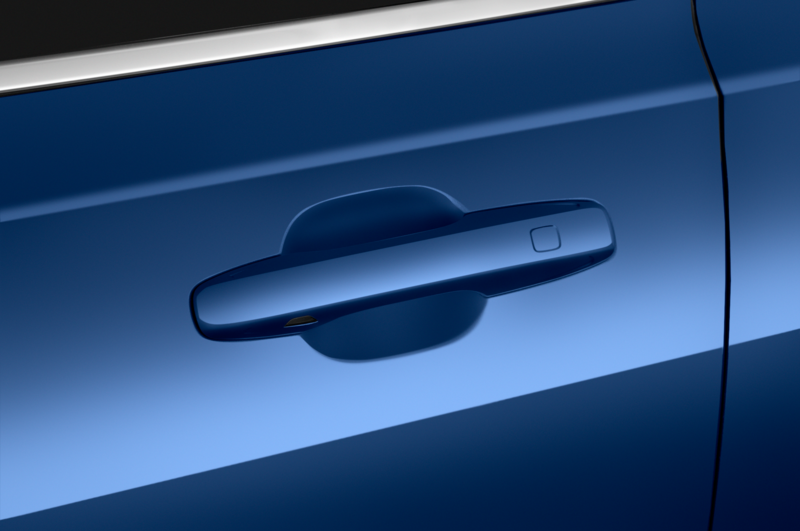 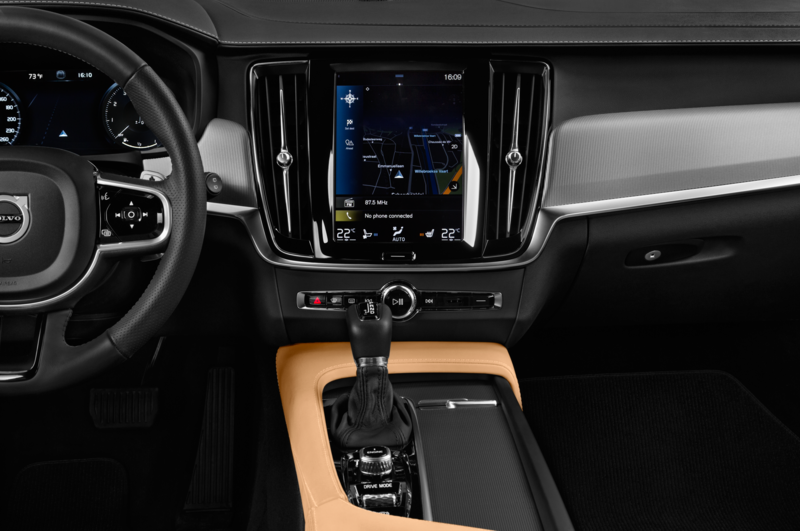 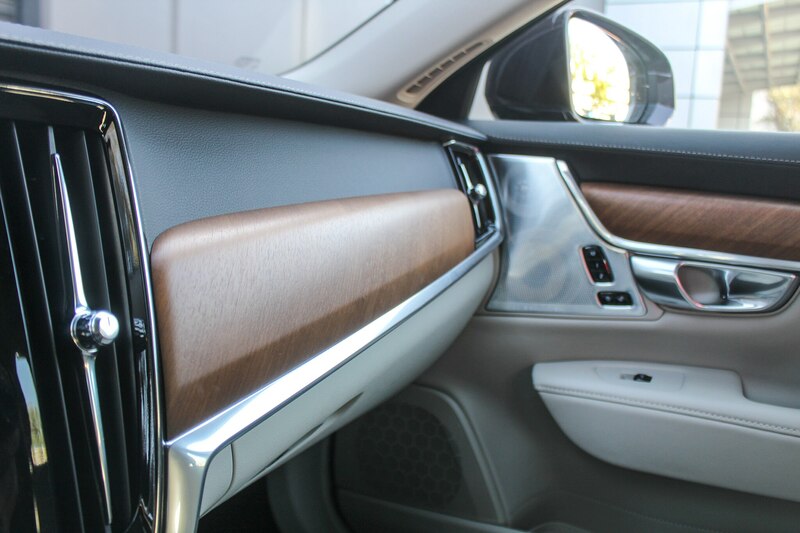 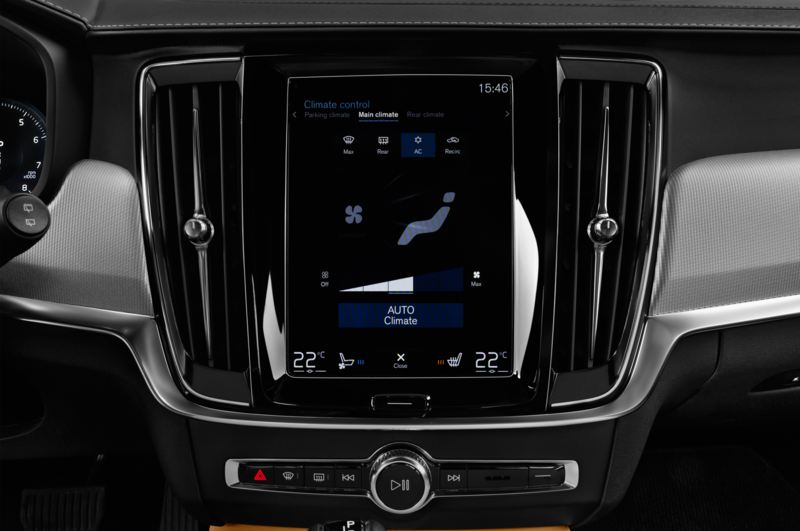 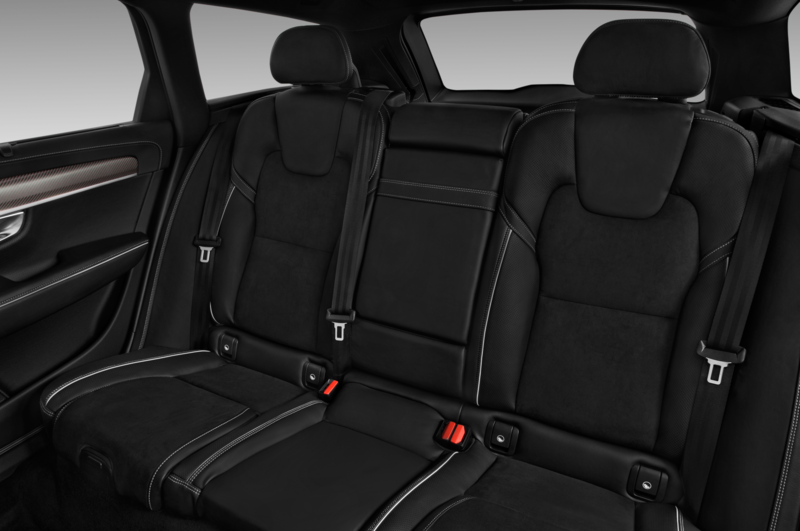 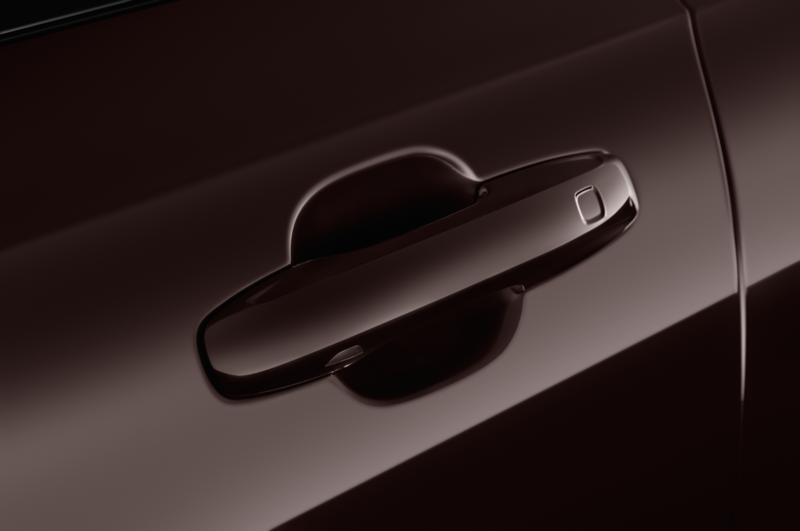 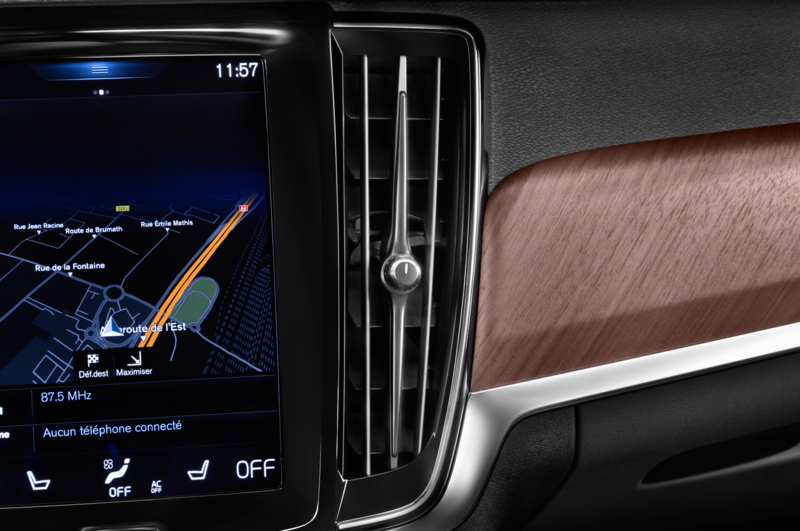 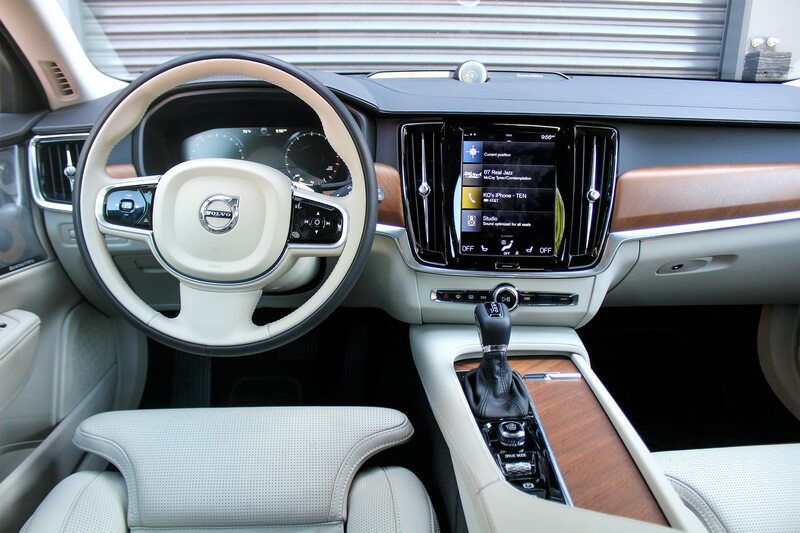 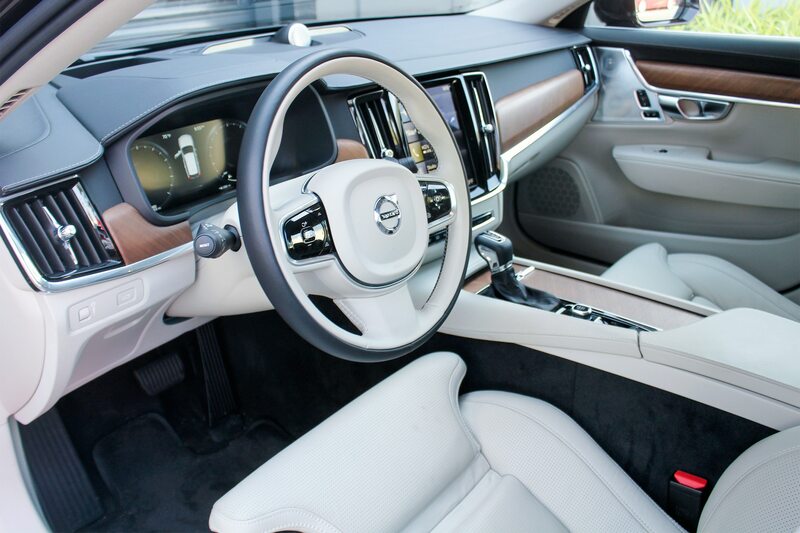 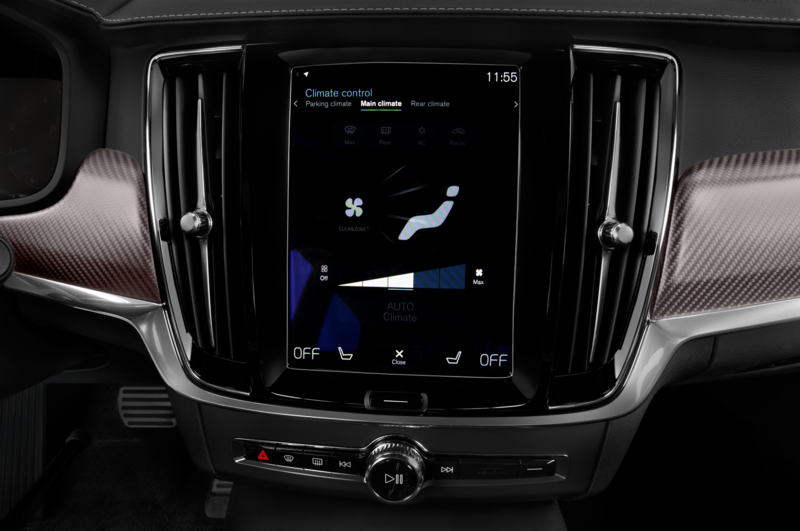 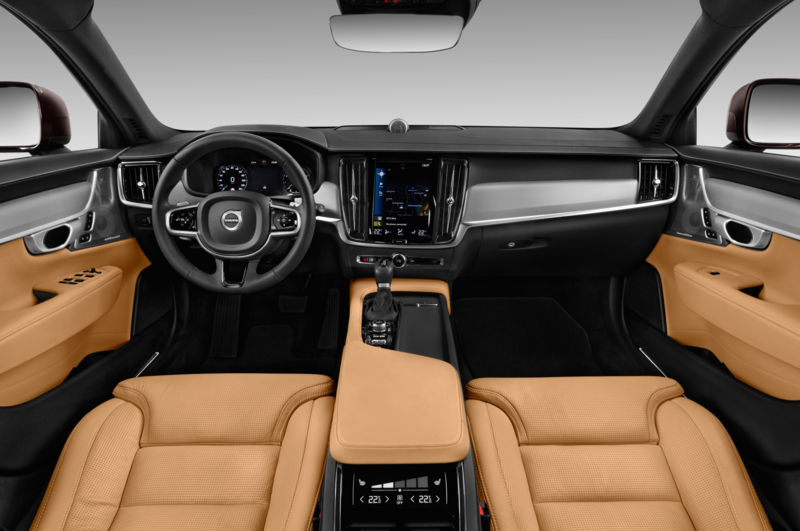 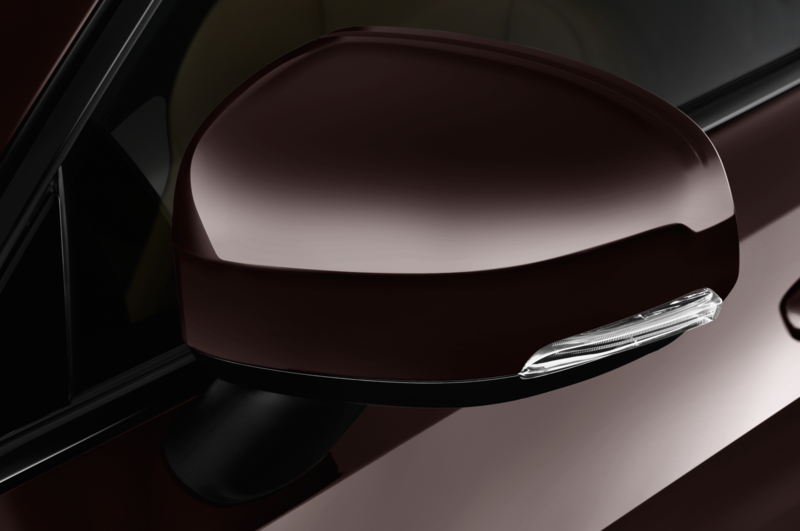 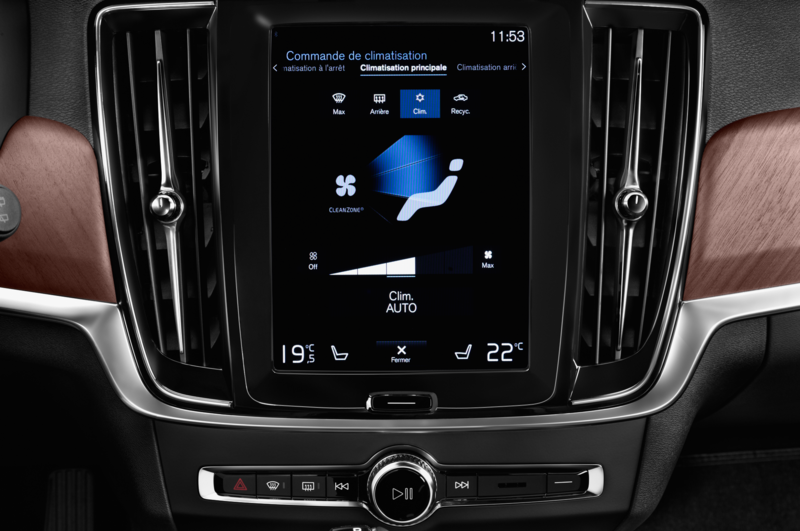 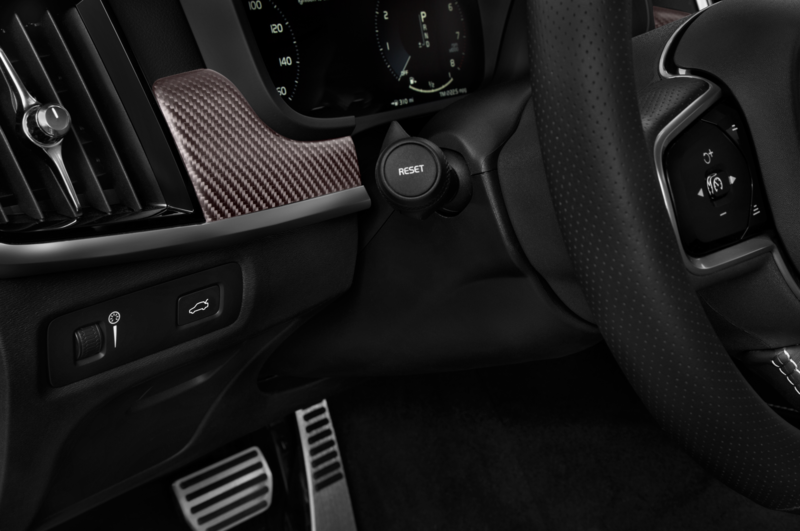 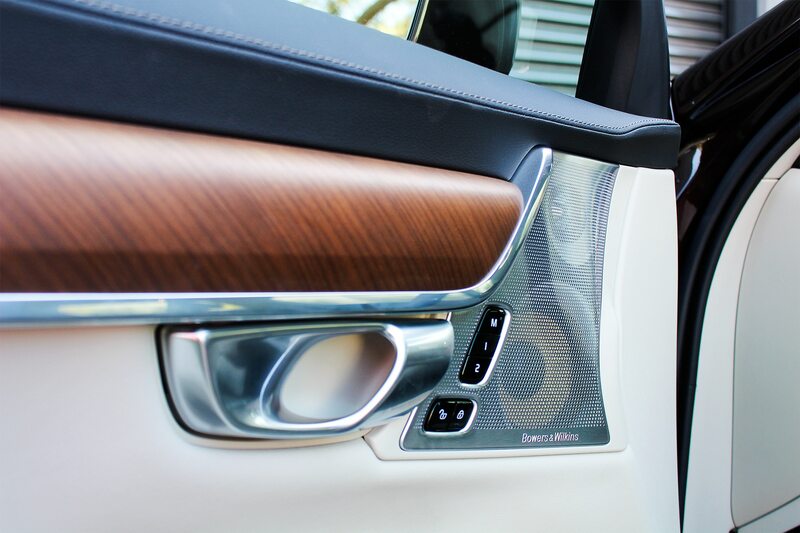 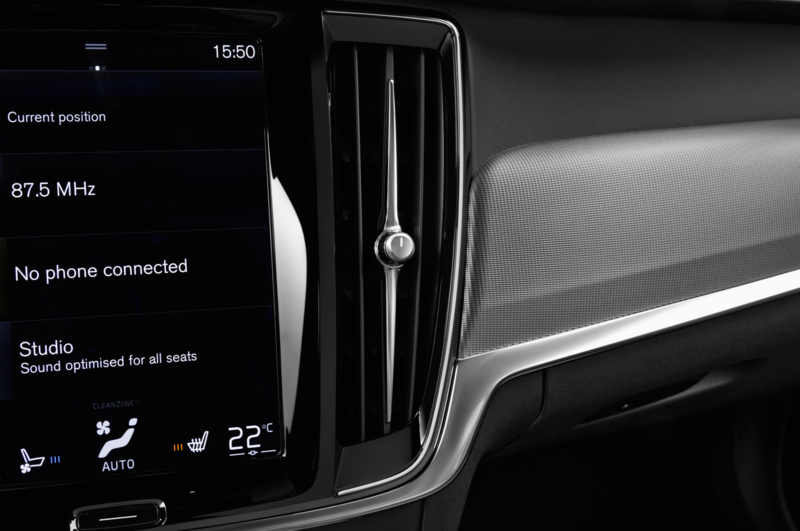 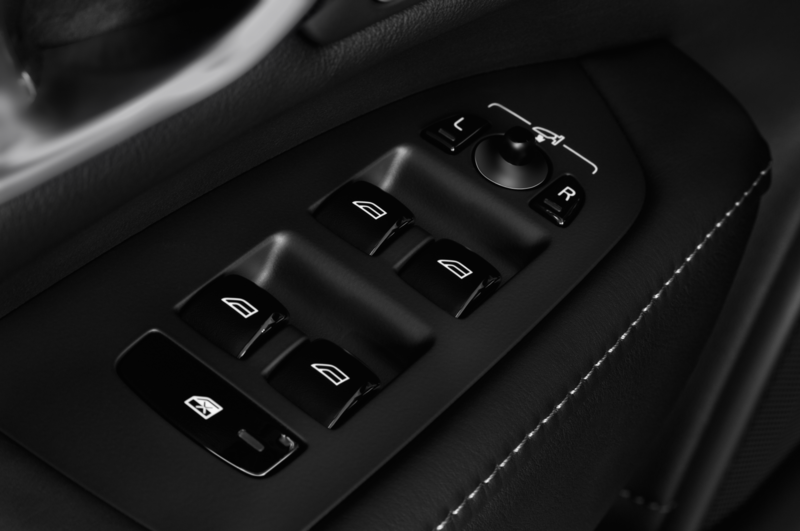 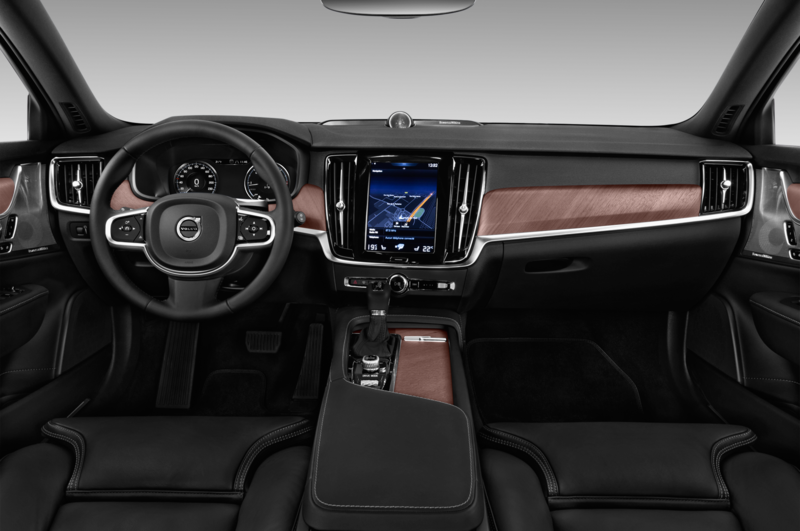 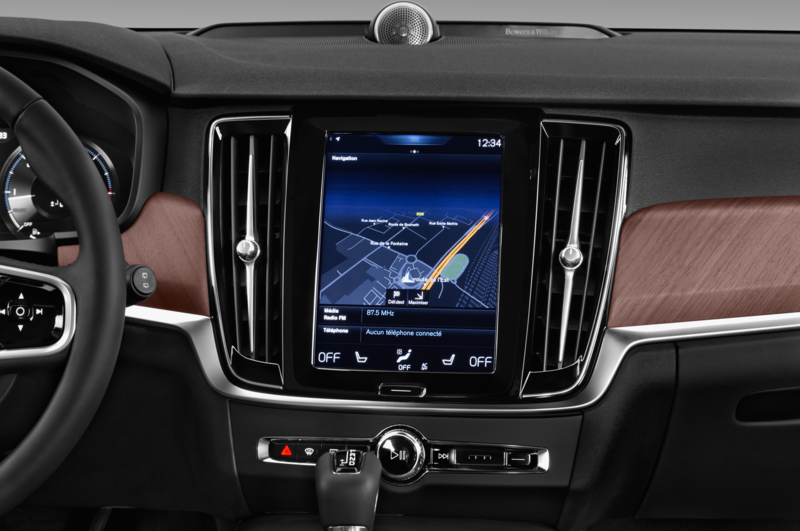 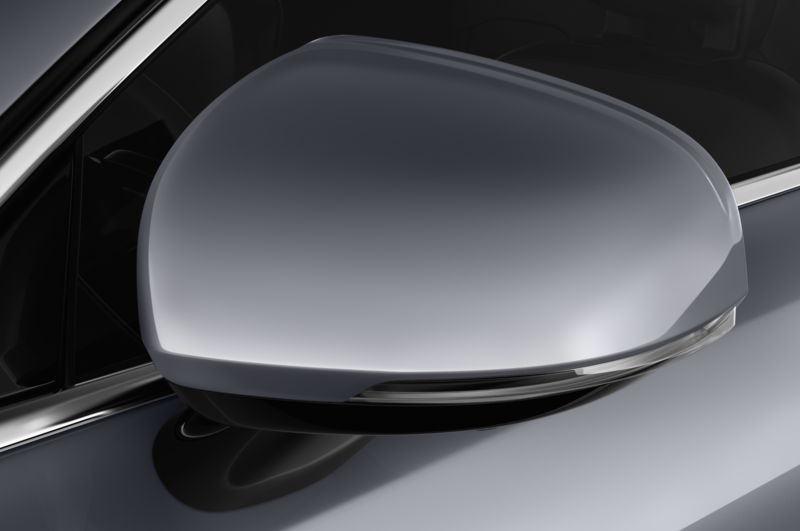 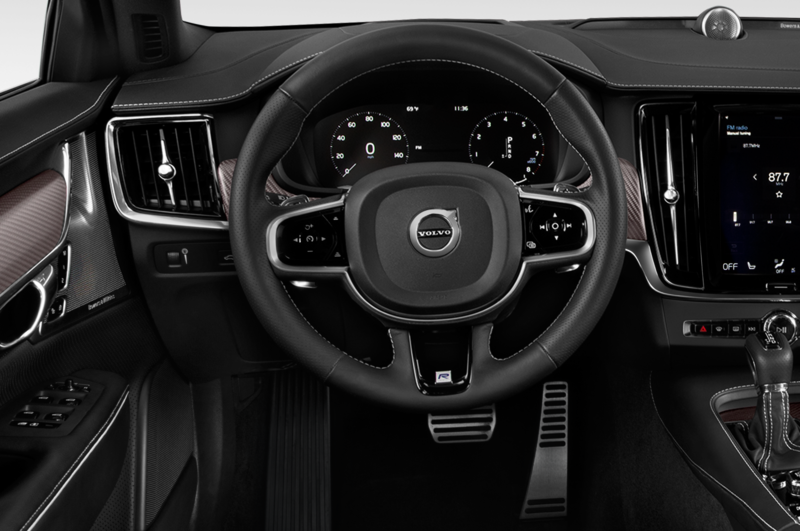 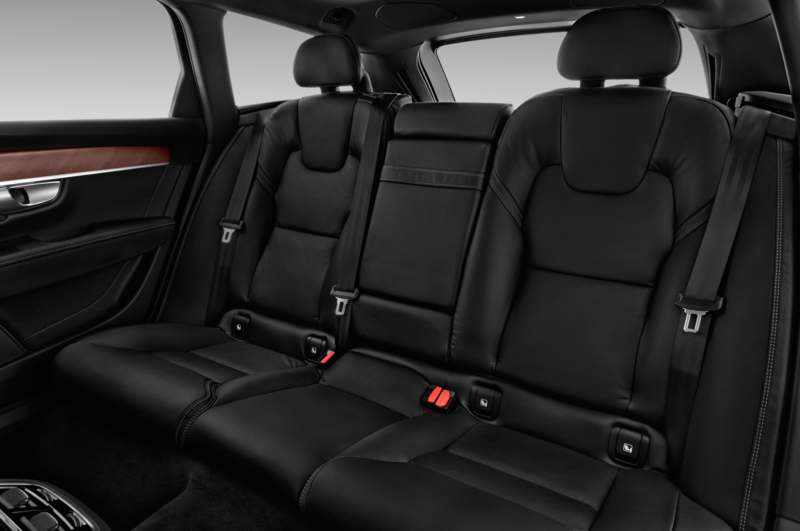 From the C-pillar forward, however, the V90’s cabin is no different than in the S90, which shouldn’t surprise anyone. 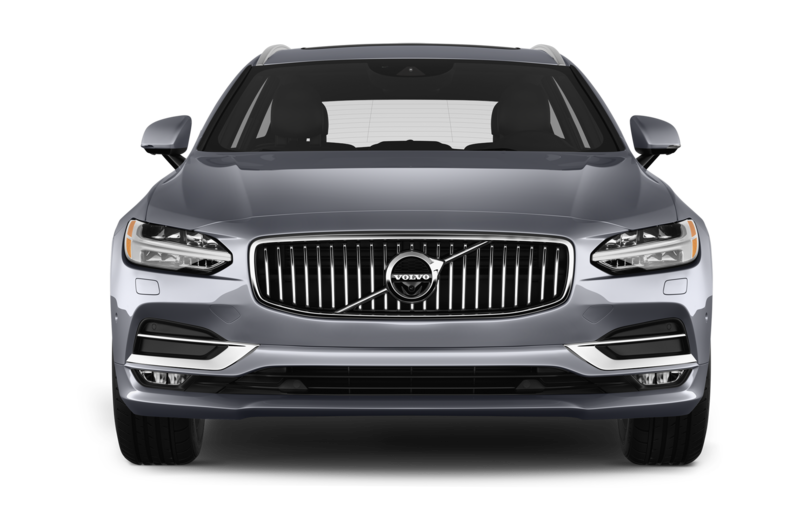 It’s a clean, attractive design firmly rooted in the brand’s Scandinavian tradition that doesn’t really need any improving. 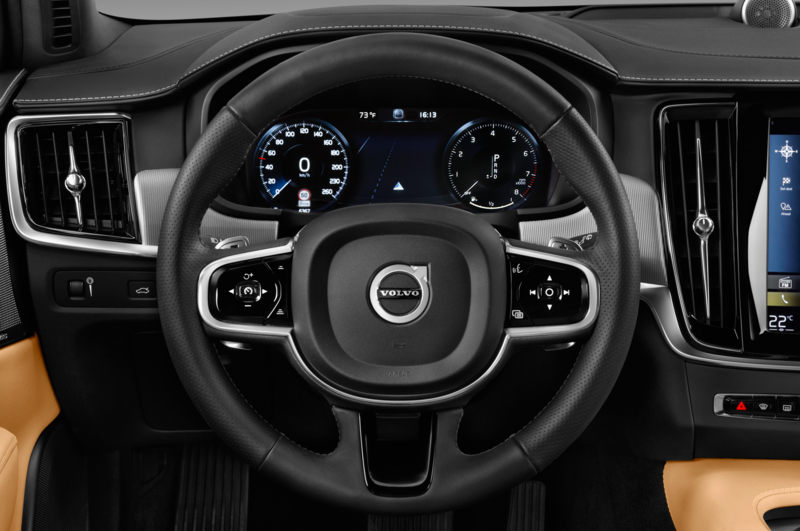 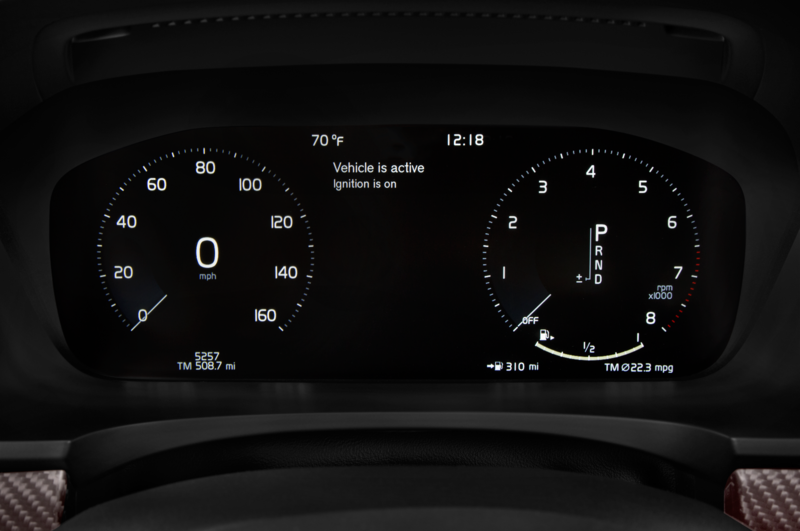 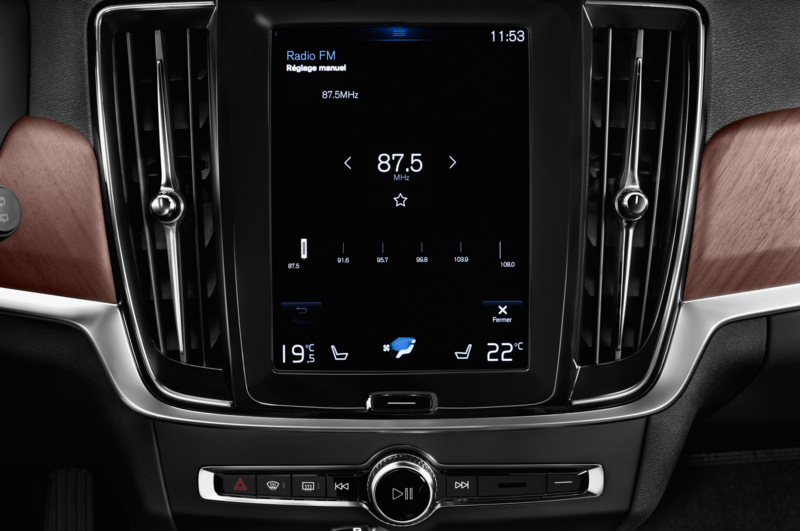 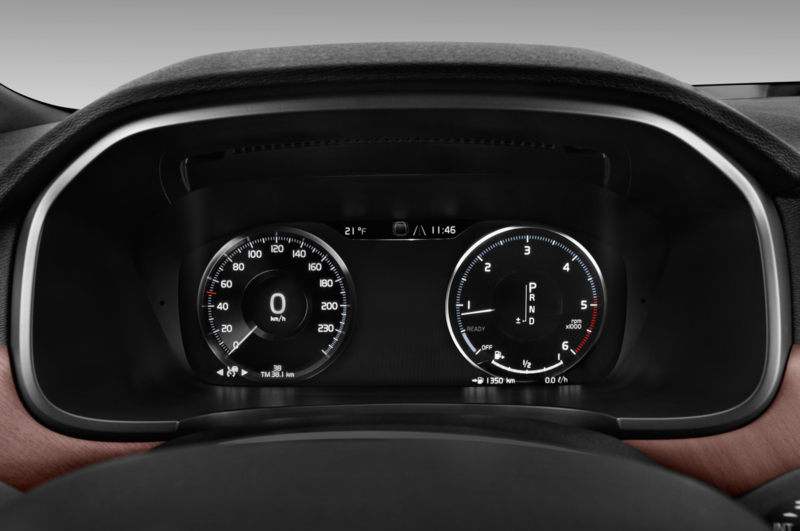 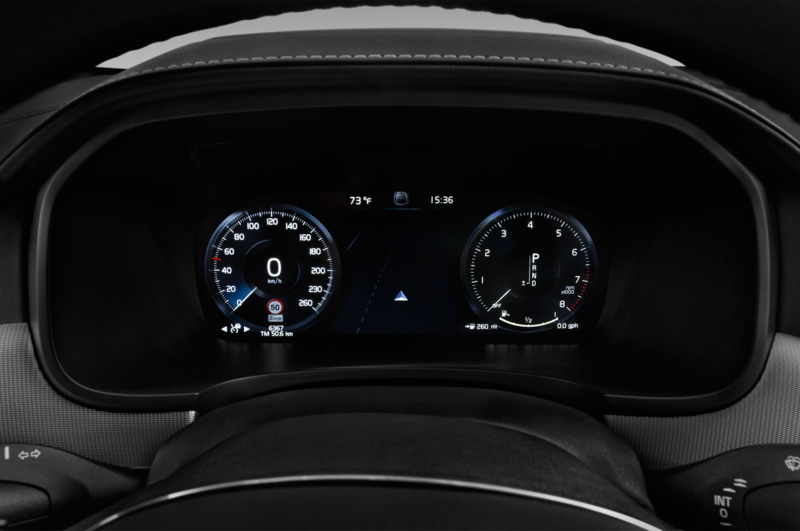 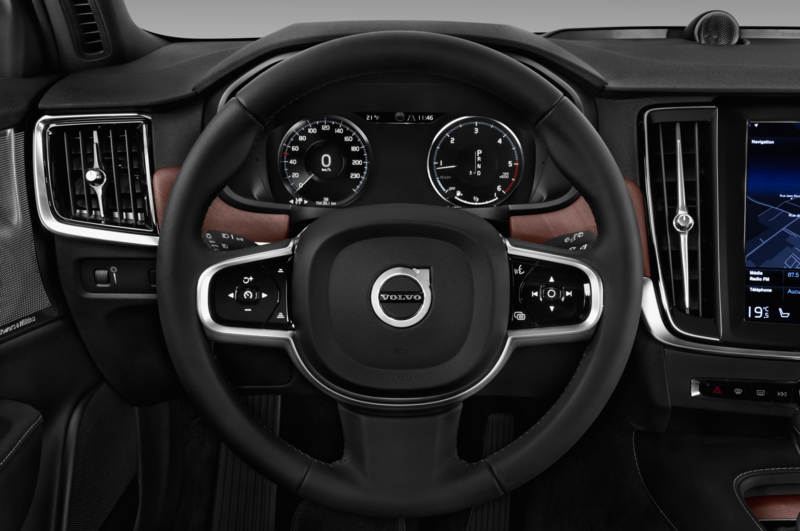 The digital gauge cluster and tablet-like center screen are good bits of tech, materials choices are properly premium in look and feel and ergonomics aren’t an afterthought. 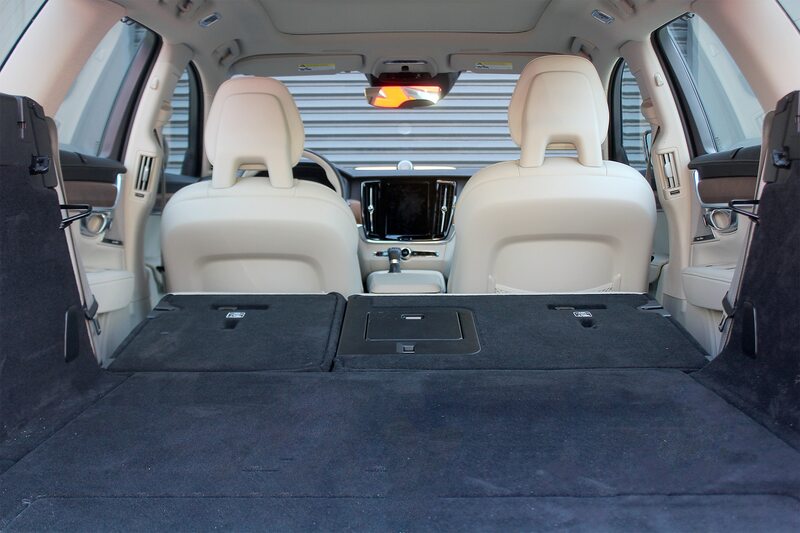 Just be sure to keep the dogs in the cargo area if you’re going to go with the white interior. 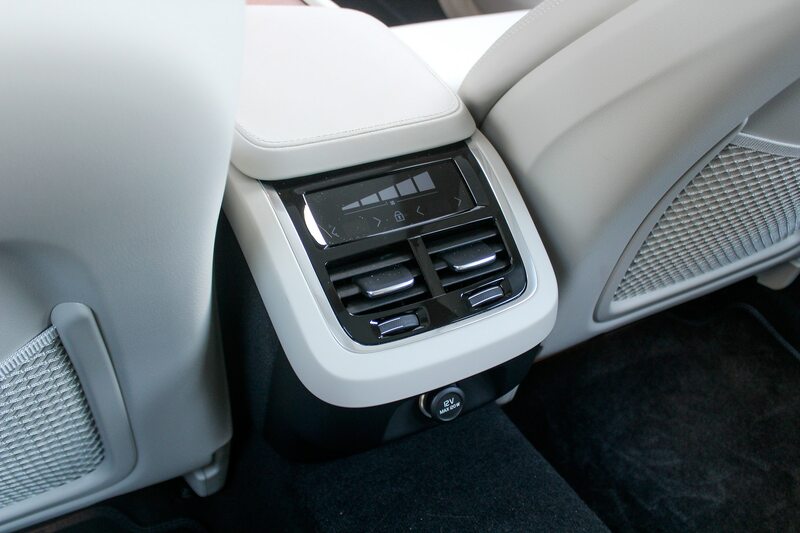 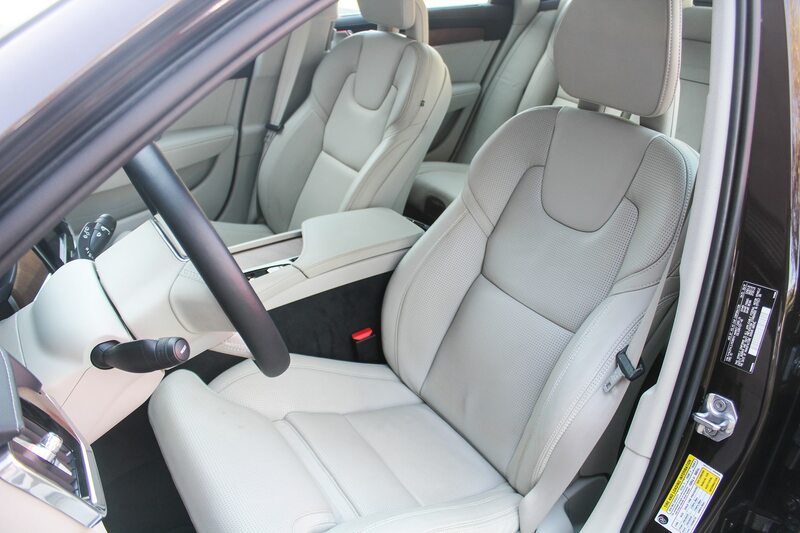 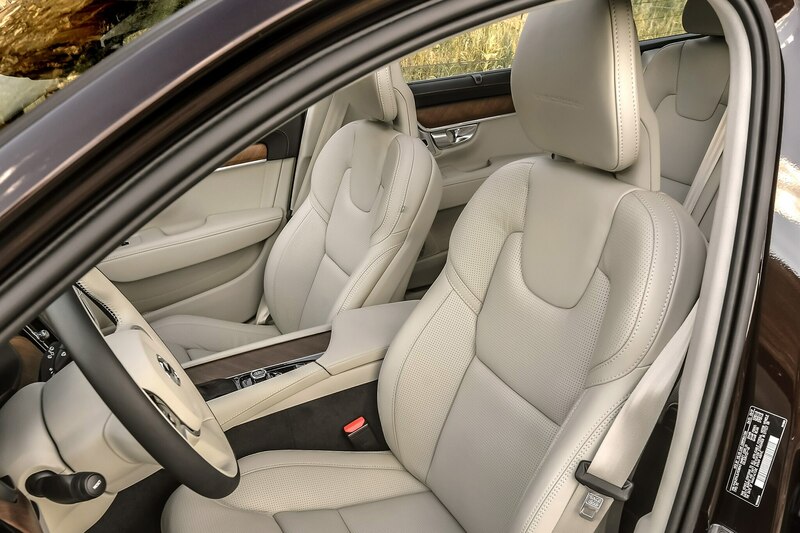 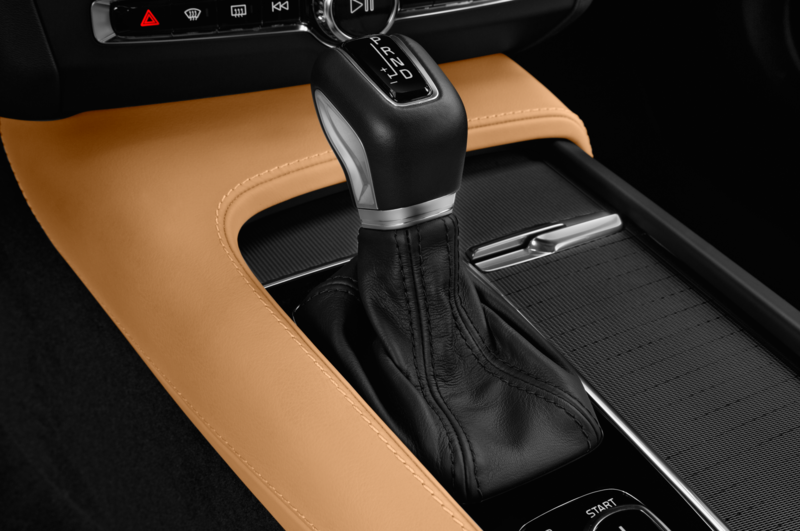 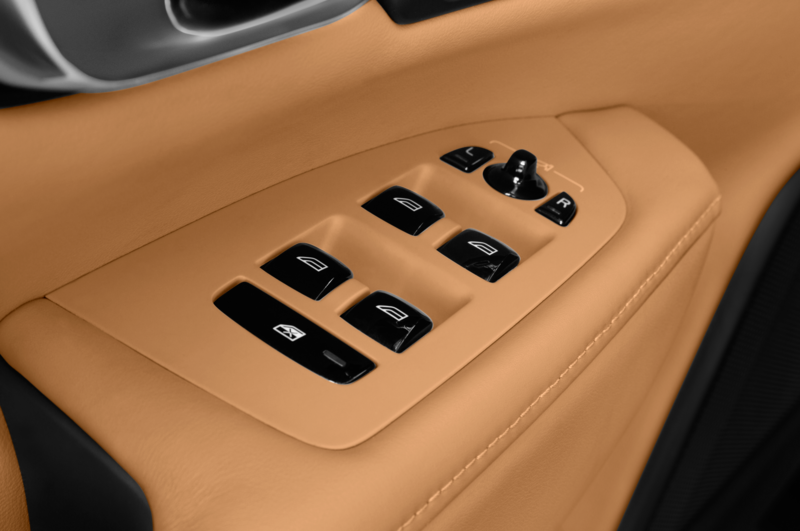 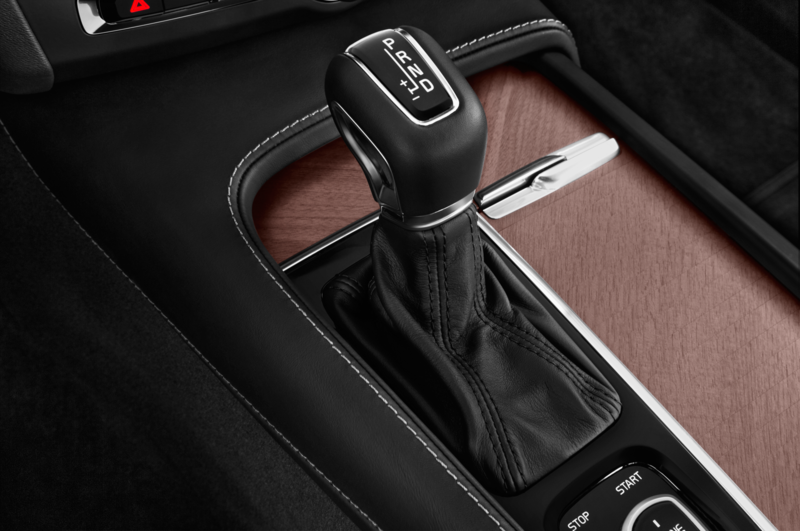 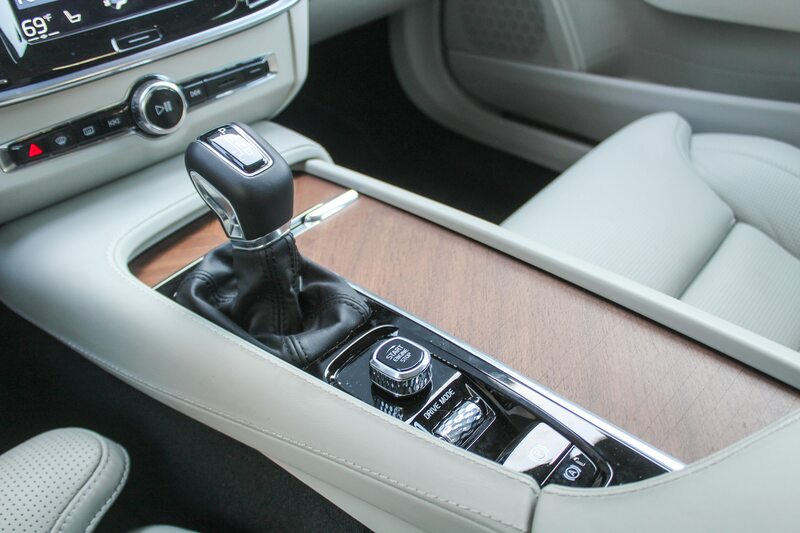 It’s the best choice for the car, as long as it’s paired with the walnut trim as our tester was, instead of the darker birch. 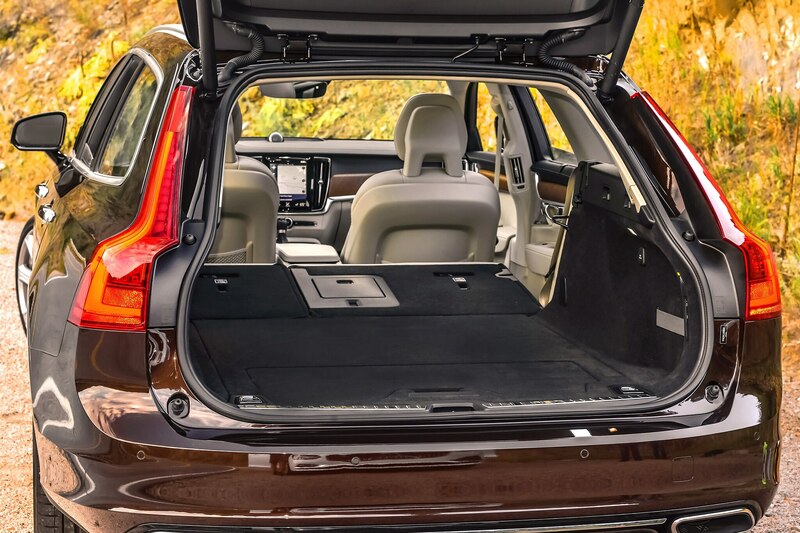 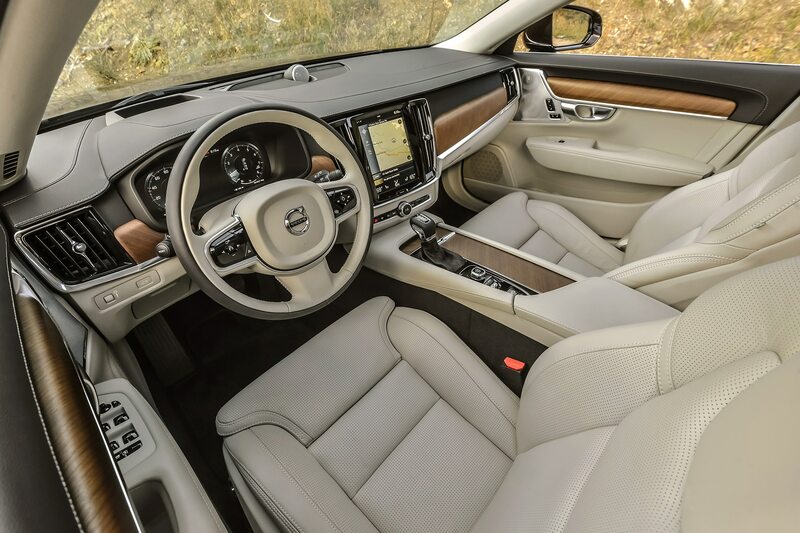 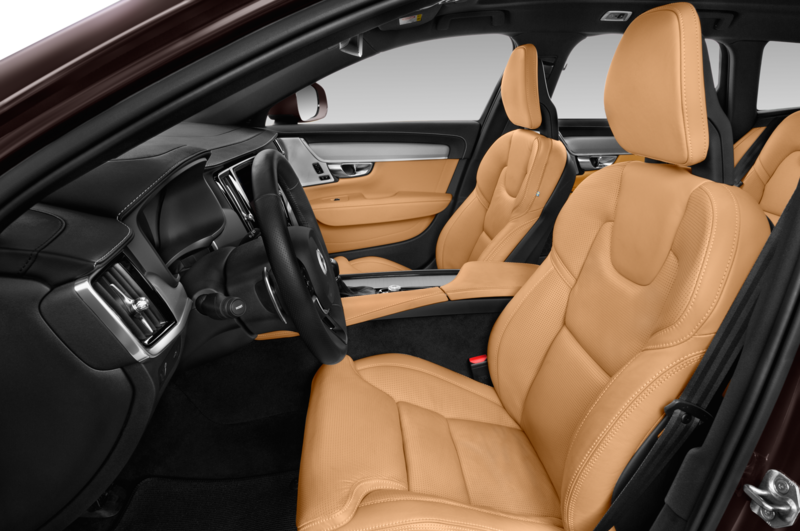 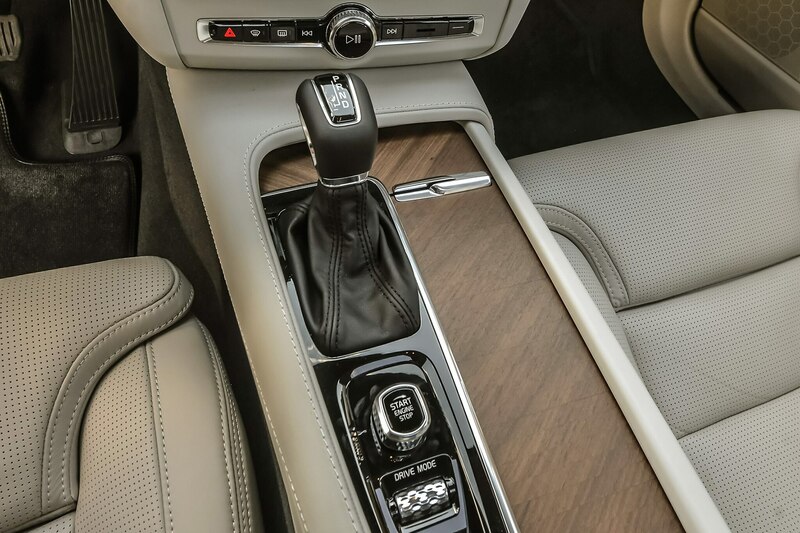 While the V90’s Inscription trim comes quite well-equipped, with features including active cruise control as part of the standard kit, there were also plenty of options on this particular Maple Brown wagon, helping drive it up to its $69,340 as-tested price. 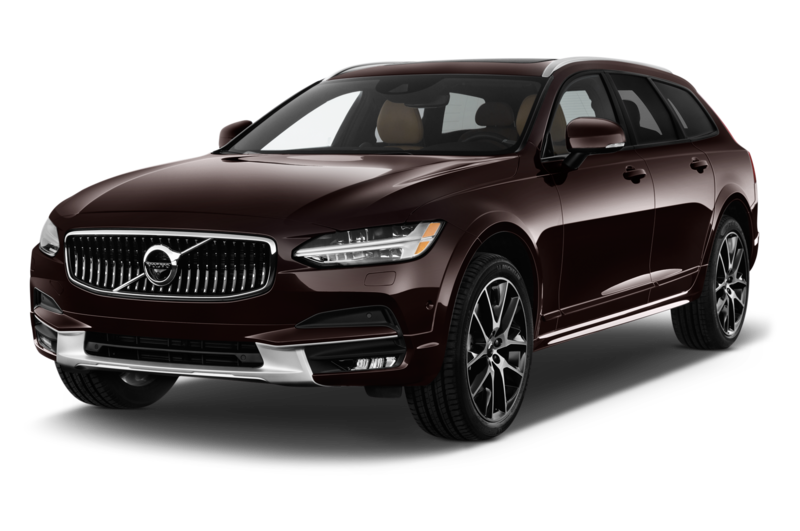 Among the extras: $1,200 for the air suspension and $800 the wheel-and-tire package, the $1,900 convenience package (heated washer nozzles, 360-degree camera, compass, and park assist), $595 for metallic paint, $900 for a head-up display, $500 for rear booster seats, $3,200 Bowers & Wilkins audio, $300 for a heated steering wheel, and $1,000 for the tailored dash. 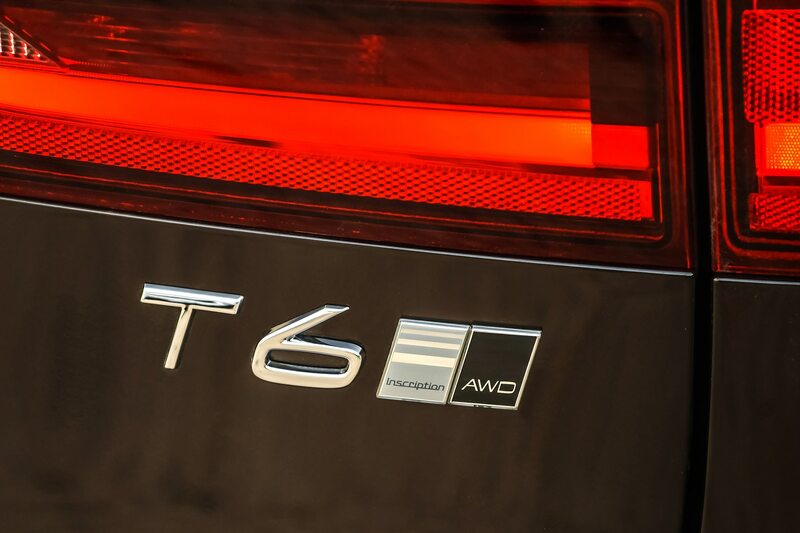 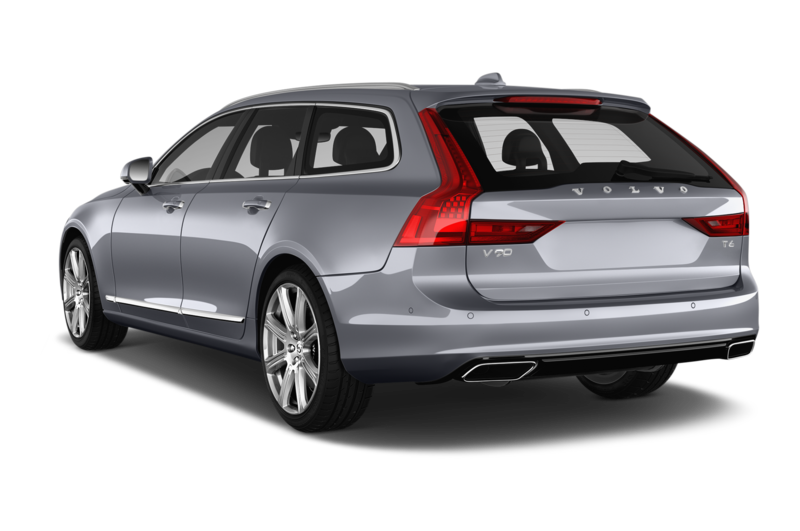 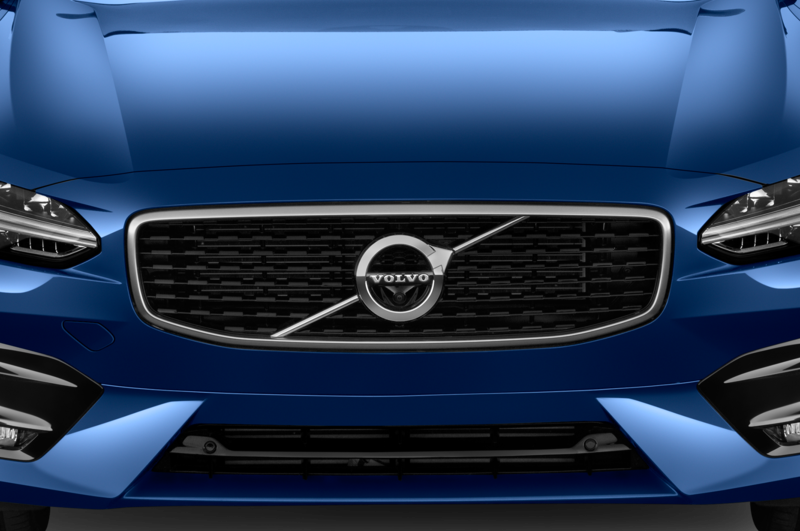 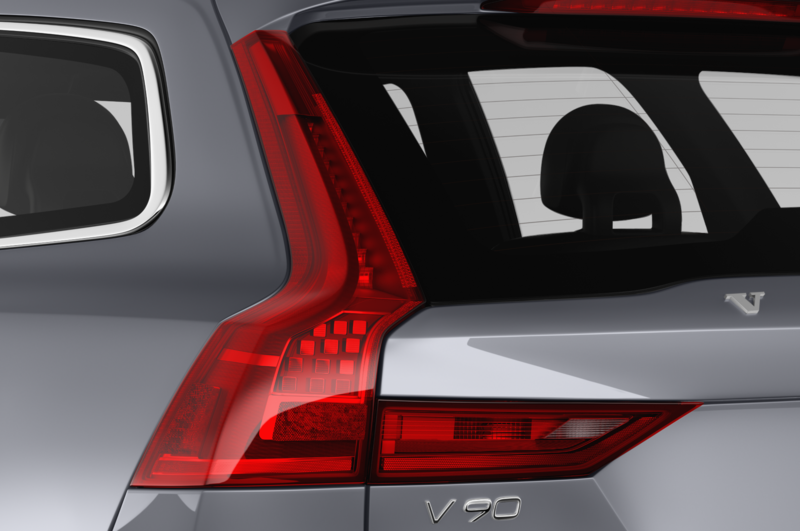 As good as it is, we’re lucky the V90 is available here at all. 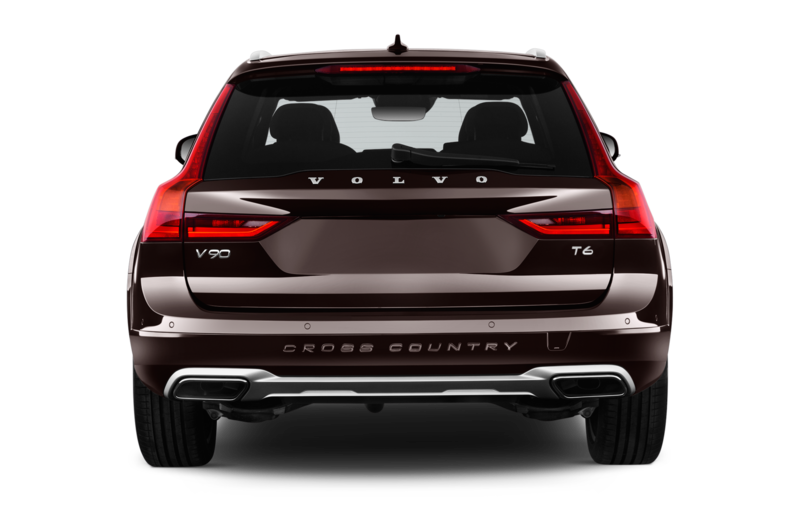 Though it’s a much better drive than the XC90 and its slightly lifted and cladded-up V90 CrossCountry sibling, the priorities of most buyers are elsewhere. 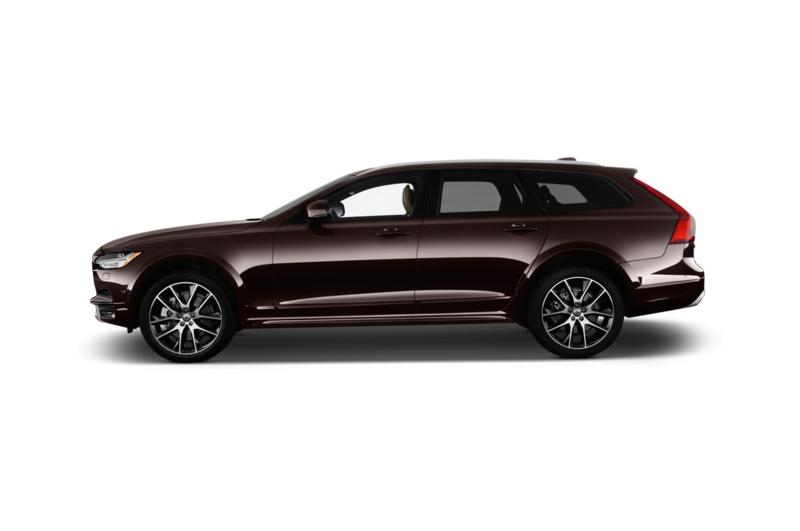 This is evidenced by the fact that Volvo moves roughly 100 XC90s and 10 V90 CCs for every V90 even though the wagon’s only direct competition is the Mercedes-Benz E400. 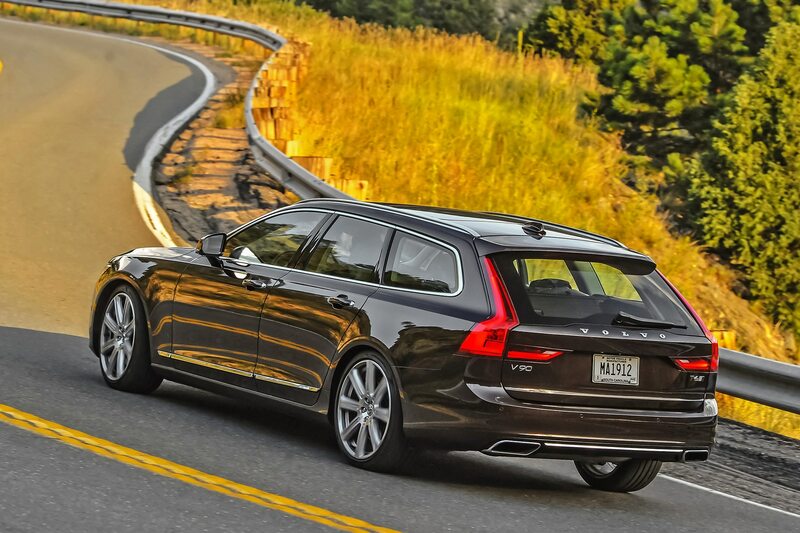 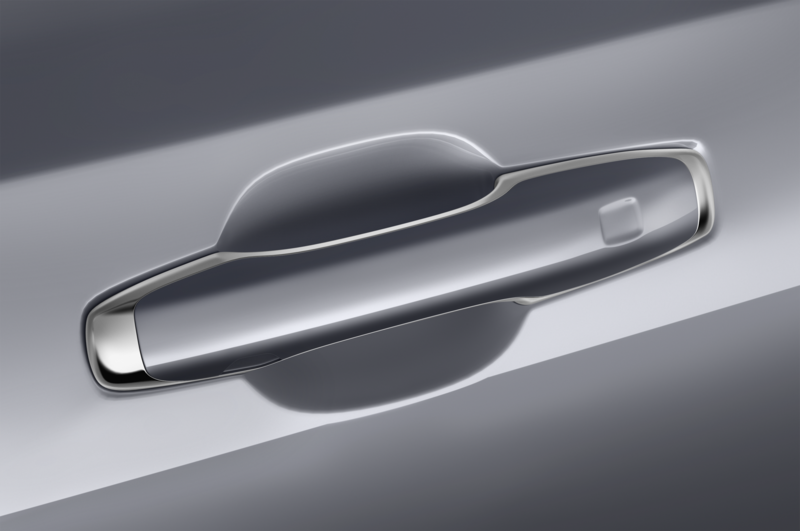 Part of it is the general unpopularity of wagons and part is by design. 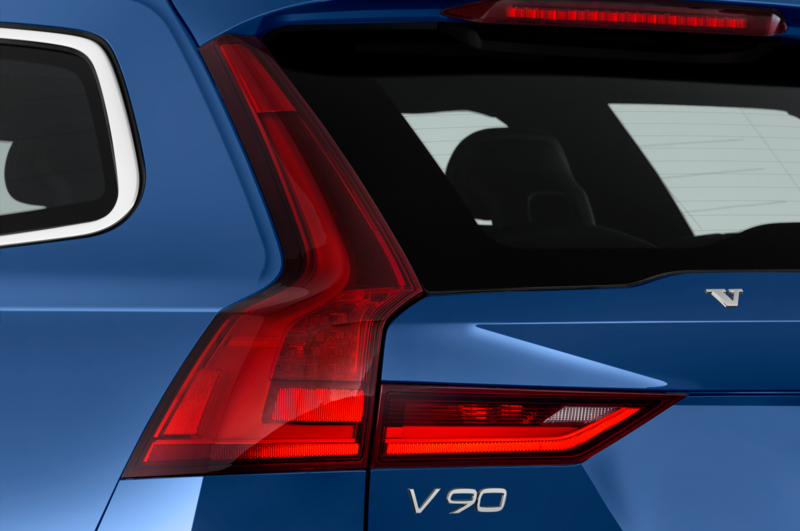 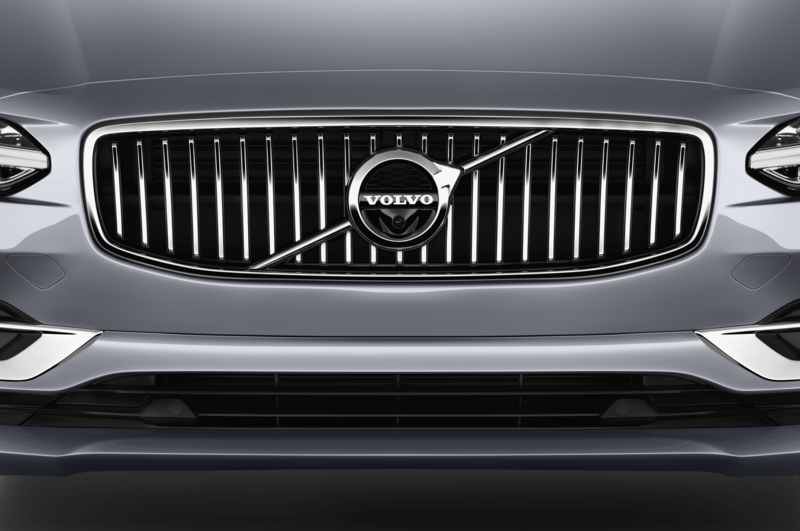 If you’re interested in a V90, don’t waste any time going to the nearest Volvo dealer to check one out. 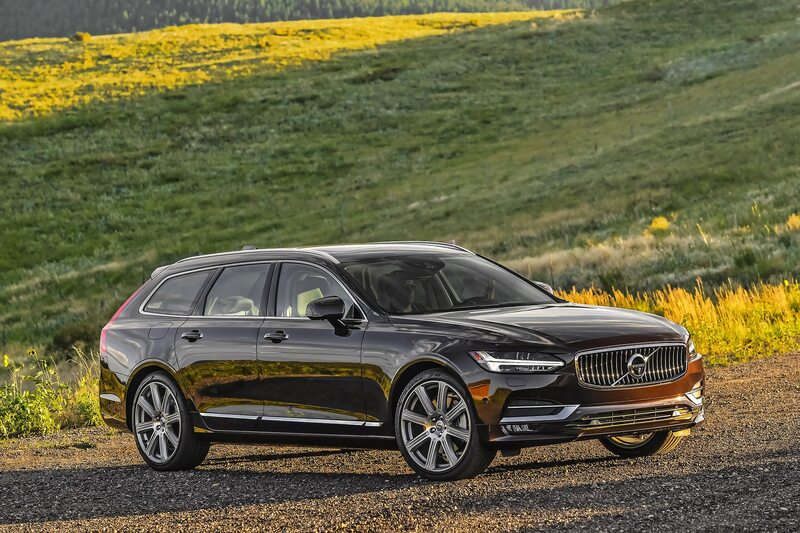 The V90 is sold by order only, as Volvo is cognizant of the aforementioned lack of demand for traditional wagons, which keeps Volvo from spending time and money building vehicles that will sit on lots until model year clearance time. 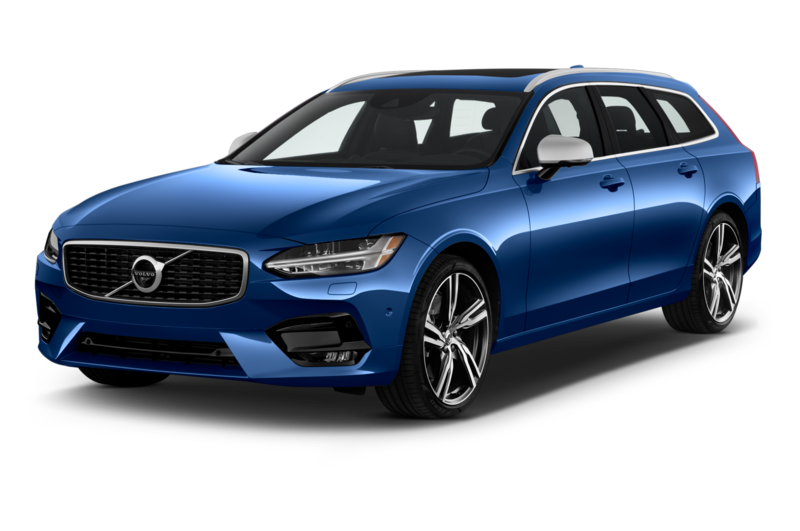 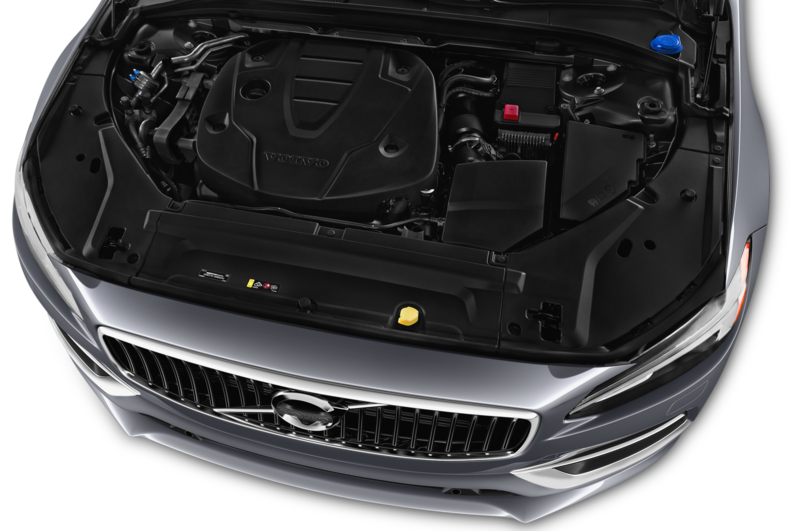 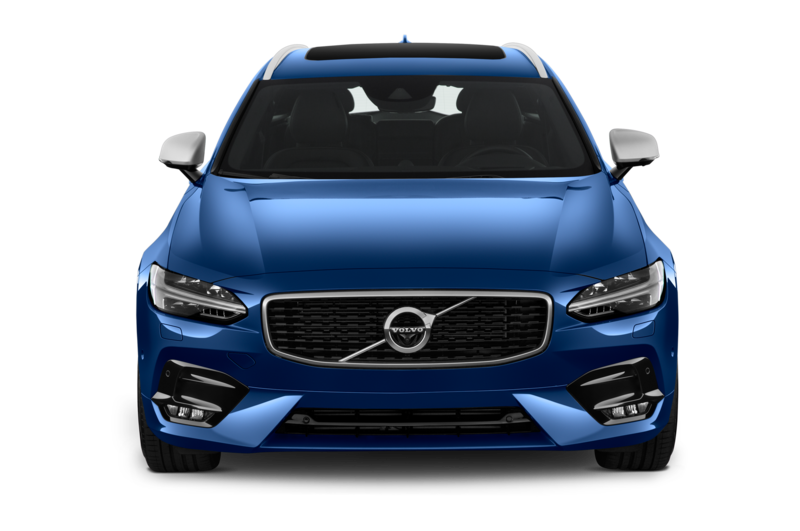 And thanks to the V90 CC, costs to get the regular V90 cleared for sale were minimal, so its not like the automaker had to make a large extra investment or take a significant risk. 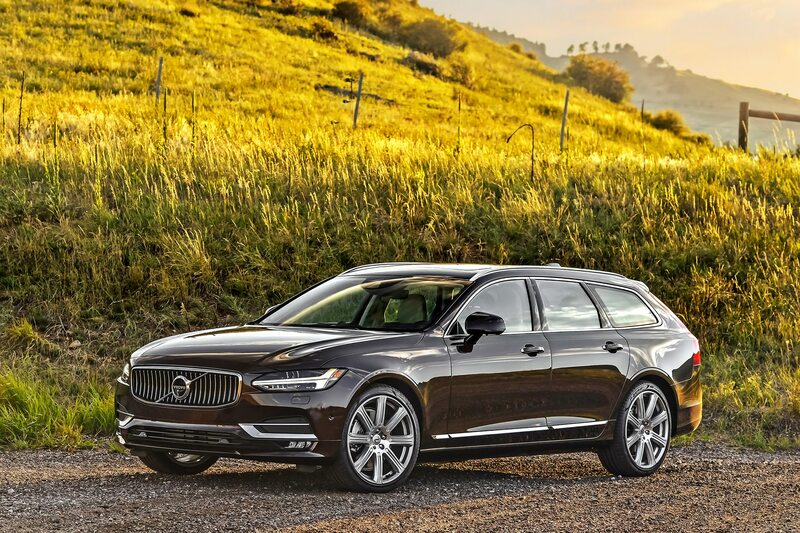 Maybe what Volvo is really onto here is the fact that the traditional station wagon is no longer even a niche vehicle, but has, despite the wishes of the many wagonistas with whom I share a line of work with, evolved into a boutique one — at least here in the U.S. With a sales pace exceeded even by the likes of Lamborghini, the 2018 Volvo V90 offers its small crop of buyers what the XC90 and V90 CC cannot: the exclusivity of an exotic that can hold its own on a canyon road while hauling the dogs or a raft of cargo at the same time.